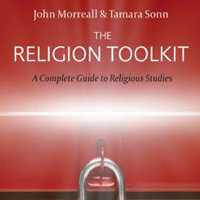 W&M professors of religious studies John Morreall and Tamara Sonn discuss their new book "The Religion Toolkit: A Complete Guide to Religious Studies." 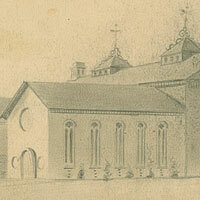 William & Mary acquires Civil War-era image of the Sir Christopher Wren Building. 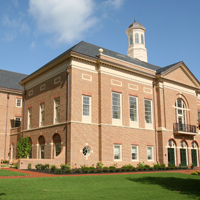 The Mason School of Business at the College of William & Mary’s MBA Program was rated as the 51st in the nation according to a new ranking released by Poets&Quants last week. 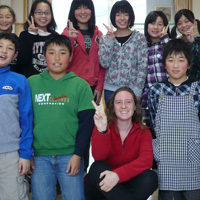 Community members learn about another country; students get first-hand look at American life. Everybody wins. 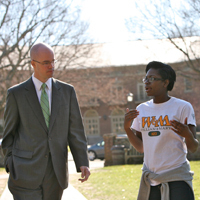 Support for salary increases and need-based financial aid topped the priority list of William & Mary’s six-year plan endorsed in September by the Board of Visitors. 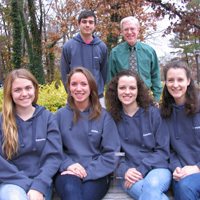 Katie Mitchell '13, Emily Pehrsson '13, Dallen McNerney '14, and Connor Smith '14 represented William & Mary at a CIA Crisis Simulation Competition in November. William & Mary students are taking their passionate messages about social justice issues beyond the walls of campus via the power of YouTube. Fully stocked with healthy players, Debbie Taylor's team already has more victories than all of last season -- and they're just getting started. 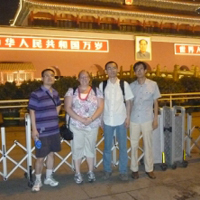 Five participants in the Law School's recent conference in Beijing shared common bonds as Eagle Scouts. About a dozen law students also recently welcomed Boy Scouts to the Law School for a day-long Law Merit Badge program. Hundreds of William & Mary students emerged from their textbooks and final papers to gather at the Wren Courtyard Saturday night. 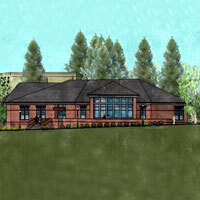 Construction of seven new lodges and the Daily Grind Coffee shop to transform site by using cutting-edge technology and the latest sustainability strategies. 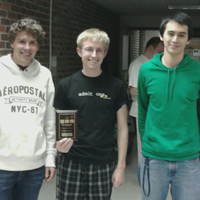 A team of student computer scientists will represent William & Mary at an international competition in Poland this May after racking up a College-best showing at a preliminary event in November. 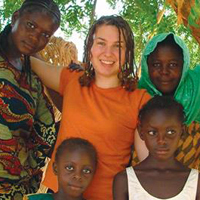 President Barack Obama recently signed the Kate Puzey Peace Corps Volunteer Protection Act, named for a William & Mary alumna who was killed while serving as a Peace Corps volunteer in Africa. 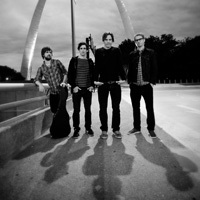 Rock band Third Eye Blind will play the second annual Charter Day concert on Feb. 4, 2012, in William & Mary Hall, representatives from the Student Assembly (SA) and Alma Mater Productions (AMP) announced Saturday night. 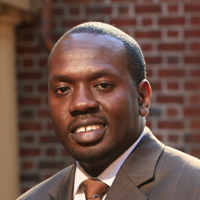 Scholars consider what’s next for Sudan and South Sudan. 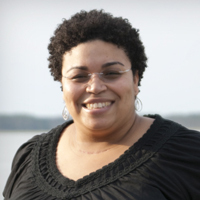 English Professor Joanne Braxton will serve as writer-in-residence at this year's Rumi pilgrimage. 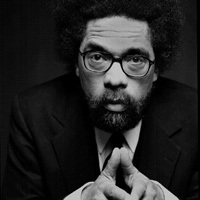 Speaker, author and activist Cornel West will serve as the keynote speaker at William & Mary's Martin Luther King, Jr. Commemoration Program. 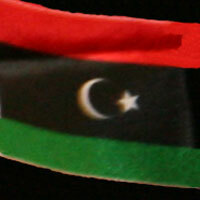 International Relations major to study in Amman, Jordan in Spring 2012. 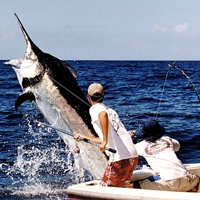 New genetic test developed by VIMS helps ensure that U.S. seafood markets comply with regulations banning the sale of blue marlin taken from the Atlantic Ocean. 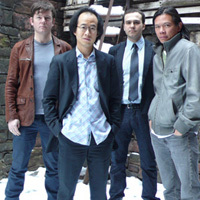 Ensembles bring the sounds of Java to Williamsburg. 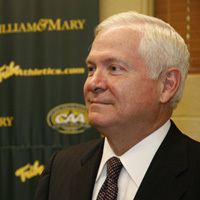 Former U.S. Secretary of Defense and William & Mary alumnus Robert M. Gates '65 will serve as the keynote speaker at the College’s 2012 Charter Day ceremony. 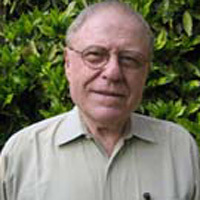 Professor Emeritus of Government James A. 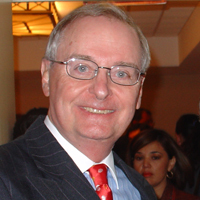 Bill, founding director of the Reves Center, will also be honored at the event. 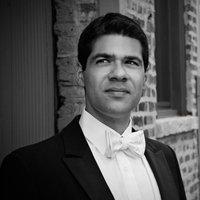 World-renowned tenor William Joyner '84 returned to his alma mater last week to host the class and perform with the William & Mary Symphony Orchestra. 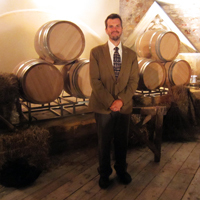 William & Mary alumnus Frank “Beau” Wright ’10 was selected to intern at the White House this fall. 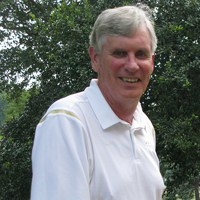 He was one of ten Virginians and over 140 people nationwide to be selected. 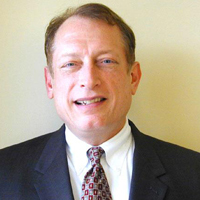 The Law School's Lewis B. Puller, Jr., Veterans Benefits Clinic has enlisted colleges and universities around Virginia to join a new consortium aimed at helping the state's veterans. Donations from law firms will help support a new consortium of universities and colleges in Virginia sponsored by the Law School to help the state's veterans. Scott Nelson's forthcoming book looks at strangely familiar financial landscapes. 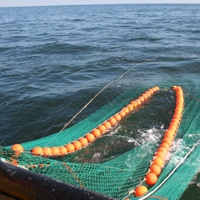 VIMS researchers are working with commercial anglers to foster sustainable and profitable fisheries in the near-shore waters of the Mid-Atlantic and New England. 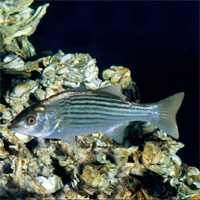 Eleven VIMS research teams will join with partners in academia, industry, and government in both Virginia and Maryland to conduct field and laboratory studies of oysters, blue catfish, cownose rays, soft-shell clams, and striped bass. Senior running back adds another honor to his stellar career accomplishments. 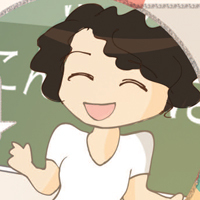 In relationship to the Center for Gifted Education's work with Japan, friendship building may eventually lead to a philosophical shift in the way gifted education is viewed in the country. 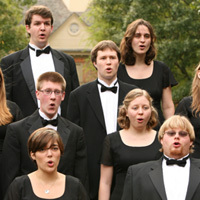 The William & Mary Choir, Women's Chorus and Botetourt Chamber Singers will present two winter concerts on Dec. 3 in Phi Beta Kappa (PBK) Hall. 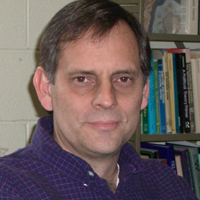 Macdonald is Chancellor Professor of Geology at William & Mary. 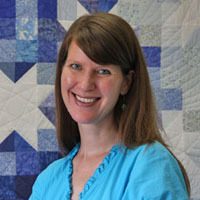 She is one of three finalists for the Robert Foster Cherry Award, given every two years by Baylor University. Ali Suleiman Aujali, Libyan Ambassador to the United States, and Aly R. Abuzaakouk, executive director of the Libya Forum for Human and Political Development, address students about their nation's transition to democracy. A team of undergraduate business students brought home the coveted Deloitte "FanTAXtics" trophy to Miller Hall, completing their goal of joining the ten others teams who have won it all for William & Mary in the past 18 years of competition. 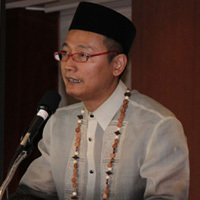 Associate Professor of Theatre Francis Tanglao-Aguas recently received the 2011 Dakila Achievement Award in Education from the Philippine American Foundation for Charities, Inc. in Washington, D.C. 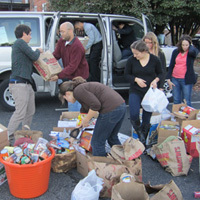 The hundreds of canned goods and other items that were collected and sorted that day were part of the Campus Kitchen at William & Mary’s annual "Turkeypalooza" event, which provides Thanksgiving meals to people in need in the City of Williamsburg. 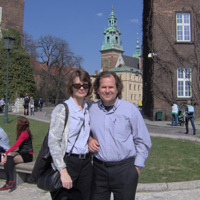 English professors Adam and Monica Potkay have one word to describe their trip to Poland last spring: "intense." 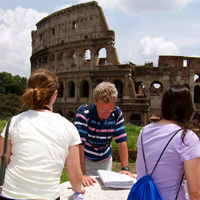 The College has a greater percentage of undergraduates who participate in study-abroad programs than any other public institution offering doctoral degrees in the United States. 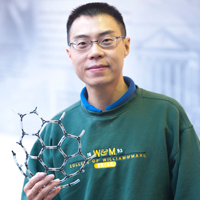 Like most inventors, Jefferson Lab scientist Xin Zhao's moment of inspiration was prompted by a need, and the result was an invention that could someday see batteries in electric vehicles and similar devices boosted or replaced by high-power, high-capacity, fast-charge/discharge energy storage systems using graphene. 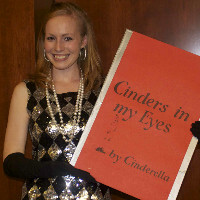 "Cinders in My Eyes" memoir landed the fairy tale princess in Law School's McGlothlin Courtroom. Twelve projects, totaling $64,380, are being funded. 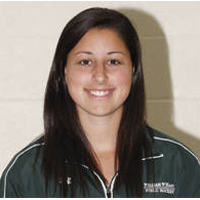 Sophomore Jeltje Loomans came to W&M to play tennis, but found there was room in her schedule for field hockey as well. The Haiti Compact recently released a report, which outlines the group's findings and gives other interested colleges guidance for planning their own alternative break trips to Haiti. The first international conference hosted by William & Mary Law School's Property Rights Project came to its successful conclusion Oct. 15 at Tsinghua University in Beijing, China. 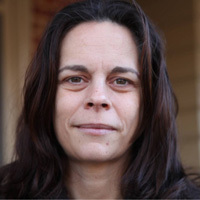 Christine Westberg '77, adjunct instructor of theatre at William & Mary, won round seven of NPR's Three-Minute Fiction contest over the weekend. Provost Michael R. Halleran sent a memo last week to faculty announcing the Creative Adaptation Fund. 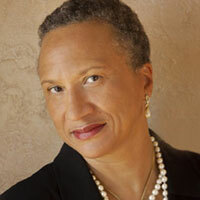 McGarrell continues the Art & Art History Distinguished Lecture Series at 5 p.m. in Andrews Hall. 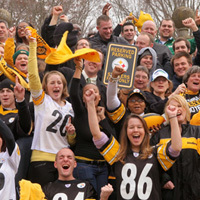 Surveys taken by Bloomberg Businessweek reveal tremendous student satisfaction. 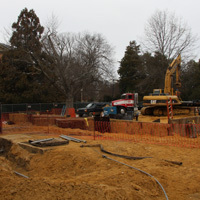 Routine archaeology in advance of a utilities project unearths a historic find on the oldest part of William & Mary's campus. The exercise is part of Gavaler's movement advising and choreography work for the upcoming William & Mary Theatre production of "Cabaret." Joint initiative of the U.S. Department of Education and the U.S. Department of State is designed to help "promote programs that prepare Americans for a global environment and attract future leaders from abroad to study, learn, and exchange experiences in the United States." For the faithful of every creed, the beginning of marriage is a religious and spiritual event. But what about when the marriage ends? 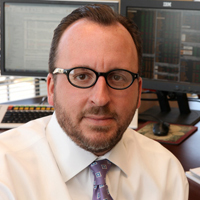 William & Mary Alumnus Pete Snyder '94, also a member of the Board of Visitors, had the honor of ringing in the opening bell last week on the New York Stock Exchange. 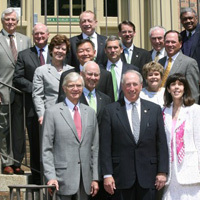 The 2011 President's Report is now available on the College's website. The video, "SouthEast Side Story," will premiere in advance of a 50th anniversary screening of West Side Story at 7 p.m. Saturday in the Kimball Theatre. Students, faculty, and staff joined forces to recruit hundreds of potential bone marrow donors. 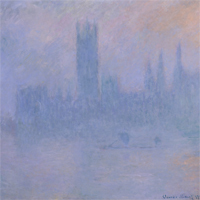 More than 40 original works by leading Impressionists, including Monet, Renoir and Degas, on display at William & Mary's Muscarelle Museum of Art through Jan. 22. 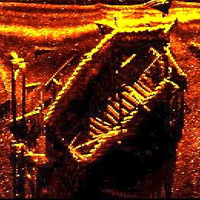 Partnership between VIMS and the Watermen's Museum in Yorktown lets schoolchildren use robotic subs to study Yorktown shipwrecks. 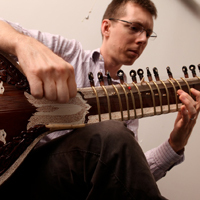 A new world of sound has arrived at William & Mary, thanks to the College's new Music of India Ensemble. 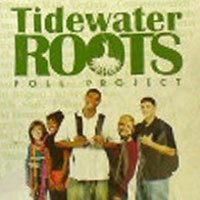 William & Mary based Tidewater Roots Poll Project trains college students to work Election Day polling places. Students at William & Mary Law School are set to run the W&M VOTEline, a voter assistance hotline aimed at responding to questions local citizens have about voting. Heather Macdonald, Chancellor Professor of Geology and one of three finalists for the Robert Foster Cherry Award given by Baylor University, will give the Robert Foster Cherry Lecture at the College of William and Mary on Monday, Nov. 14, 2011 at 7 p.m.
A group of five William & Mary Psychology and Neuroscience professors recently received a $580,000 grant from the National Science Foundation to benefit women faculty in science, technology, mathematics and engineering (STEM) disciplines. 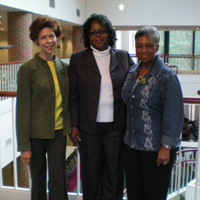 During Homecoming weekend, over 150 William & Mary faculty, staff, students, alumni and their families joined together to honor the College’s first three African-American residential students: Lynn Briley '71, Karen Ely '71, and Janet Brown Strafer '71. 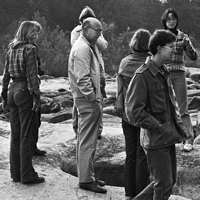 William & Mary's Department of Geology is celebrating its 50th birthday -- not even a tick of the clock in terms of the age of the earth. 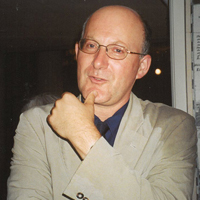 Young's presentation is part of the 2011-12 Patrick Hayes Writers Series. Govt. 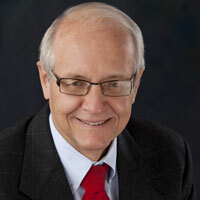 Prof. George Grayson will appear Sunday on NBC Nightly News. The question is not when the economic crisis will come. It’s whether policymakers in Washington have enough political will to craft a solution before it arrives. 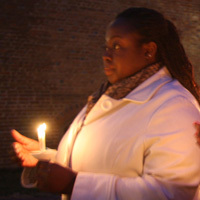 The College community gathered over Homecoming weekend to remember one of their own. 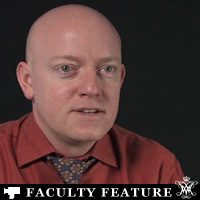 Theatre and dance faculty recently sat down with William & Mary News to discuss their interdisciplinary work with Africana studies. 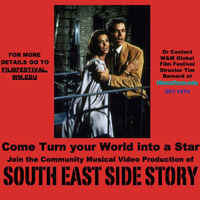 This Saturday, Nov. 5, at noon in front of the Kimball Theater, the William and Mary Global Film Festival will be filming Southeast Side Story, a community-wide lip dub musical adaptation of the film West Side Story. 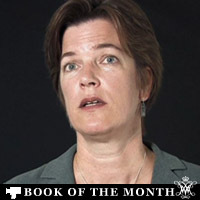 W&M professor of history Cindy Hahamovitch discusses her new book "No Man's Land: Jamaican Guestworkers in America and the Global History of Deportable Labor." 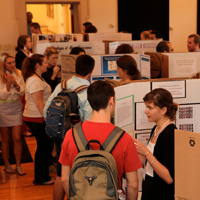 The Summer Research Showcase was a week of events to recognize these students for their work. 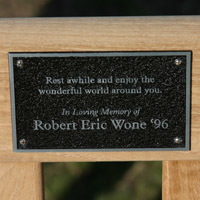 Credits the College of William & Mary as a supportive ‘second family’ in his academic success. Archeologists spent 10 weeks digging around the foundation of the College's second oldest building, with some interesting discoveries. 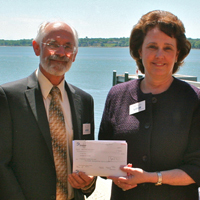 Gift to focus on faculty fellowships, student scholarships, and curriculum innovation. 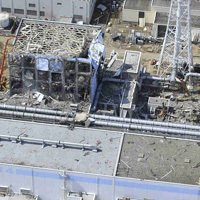 Topics to be discussed from 1-5 p.m. on Nov. 4 are “Nuclear Energy in post-Fukushima Asia” (1 p.m.-2:45) and “Korea, the United States, and the World” (3 p.m.-4:45). 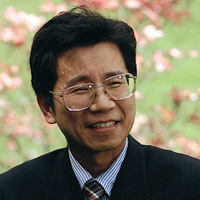 The editors of the blog 13.7: Cosmos and Culture, a web-based feature of National Public Radio, have asked King to become a permanent contributor to the blog. 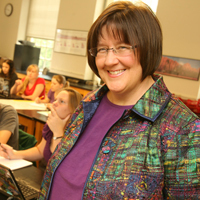 Now, after serving in the military for 34 years and earning an undergraduate degree and two master’s degrees, Cardarelli is pursuing her doctorate degree as part of the first cohort of the School of Education's Executive Ed.D. 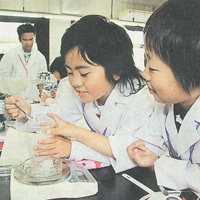 program in K-12 Administration. 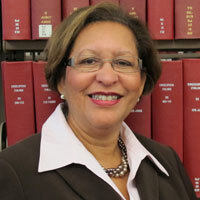 “This is not your typical library,” said Brown, who is the first and only director of the library. With fanfare and grateful appreciation, the College celebrates the establishment of a fully funded, endowed professorship in Middle East studies. 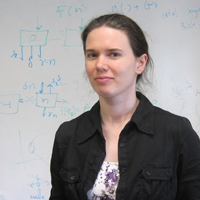 National Associated Press story headlined “Women Making Slow, Sure Strides In Science, Math” by AP writer Martha Irvine, spotlights Professor Elizabeth Harbron’s success in the development of young women scientists at William & Mary. 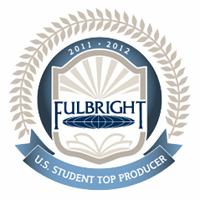 The College of William and Mary is one of the top producers of U.S. Fulbright Students in the country, according to data released by the Chronicle of Higher Education Oct. 23. 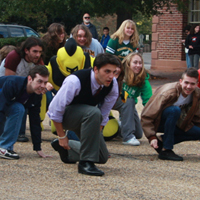 The parade kicked off the College's annual Homecoming weekend, which offered the William & Mary family both traditional events as well as some new opportunities for alumni, students and others to reunite with old friends and make new ones. The College becomes just the third in the United States, 16th in the world, to receive this fully funded, endowed professorship. 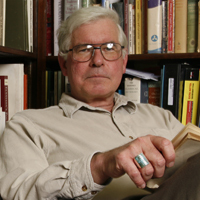 William & Mary Psychology Professor Harvey Langholtz will participate in a United Nations panel discussion Monday about the role of women in war and peace building. 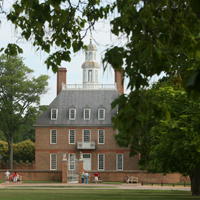 Members of the College of William and Mary community will have new opportunities to explore the Historic Area thanks to a new initiative announced by The Colonial Williamsburg Foundation. 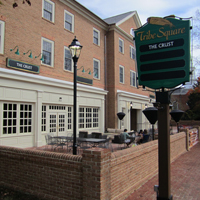 Tribe Square has prompted an increase in student-geared businesses in the Williamsburg area, according to William & Mary officials. 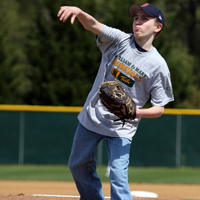 A simple cheek swab last spring led to donation that may have saved teenager's life. 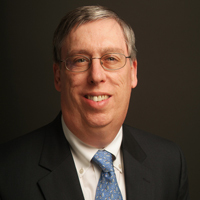 Bill Bean, director of William & Mary’s Technology and Business Center has been elected president of the Virginia Business Incubation Association (VBIA). 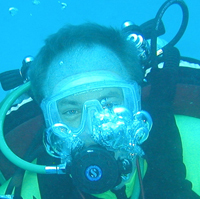 Professor Bob Diaz of the Virginia Institute of Marine Science has played a major role in a new U.N. report on low-oxygen "dead zones," a growing threat to ocean life and marine economies in coastal waters throughout the world. 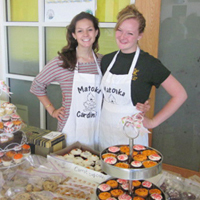 More than 200 students participated in this year's event, serving at nine different sites throughout the area. 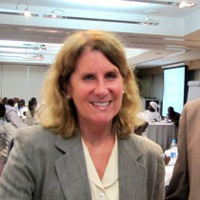 Timothy J. Sullivan ’66 and Anne Klare Sullivan ’66, M.Ed. ’68, M.A. 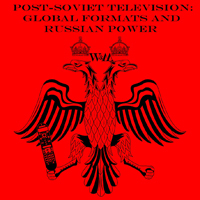 ’73, Ed.D. ’86 are the Grand Marshals. Annual Homecoming parade will move to Friday, Oct. 21 at 4:30 p.m., followed by the Friday Night Fest Block Party beginning at 6:30 p.m. 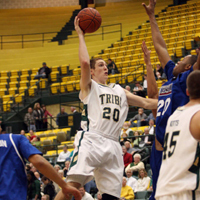 He is the first Tribe basketball player since Adam Hess in 2003 to receive that honor. Meanwhile, the team is predicted to finish sixth. 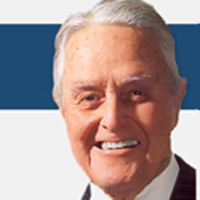 Named in honor of James McGlothlin, Chairman and CEO of The United Company, the Forum’s inaugural run will be November 1-3, 2011. 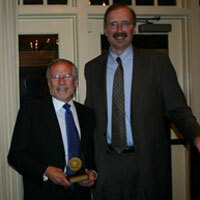 The Law School's highest honor, the Marshall-Wythe Medallion, was presented this year to Frederick Schauer. Did bad water contribute to the Starving Time? 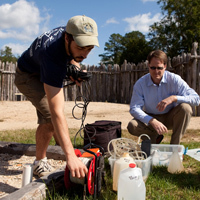 Geologists at William & Mary are analyzing a possible contributing cause of the deaths at Jamestown Island during the Starving Time of 1609 and 1610 -- bad drinking water. Burgers, fries and milkshakes are making their way to Tribe Square. 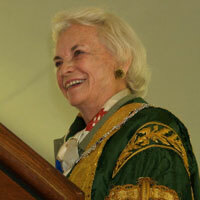 Justice Sandra Day O'Connor appeared via video at the Eighth Annual Brigham-Kanner Property Rights Conference to accept the 2011 Brigham-Kanner Property Rights Prize. The annual Combined Virginia Campaign kicked off at William & Mary Thursday with a chance to give – and enjoy a free lunch – in Trinkle Hall. Justice Sandra Day O'Connor was honored at an Oct. 13 reception at the U.S. Embassy in Beijing, co-hosted by the Law School. The reception was the prelude to the Law School's 8th Annual Brigham-Kanner Property Rights Conference on Oct. 14-15 in China. The Starving Time came about after John Smith returned to England in 1609 and the uneasy truce he had brokered with the Powhatan Indians fell apart and led to the beginning of the First Anglo-Powhatan War. The new documentary film examines the downfall of the investment bank known as Bear Stearns. 7 p.m., Wednesday, Oct. 19. Members of the military will be celebrated during Saturday's noon football game between William & Mary and New Hampshire at Zable Stadium. 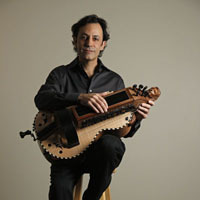 The College of William and Mary's Ewell Concert Series kicks off this weekend with a performance of Hispanic ballads by singer, musician and scholar Tomas Lozano. 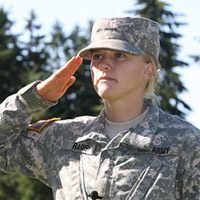 College to host screening of new PBS mini-series, Women, War & Peace. 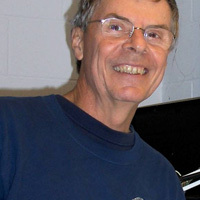 VIMS professor Mark Patterson will assist a team of NASA astronauts as they visit the Aquarius habitat for a 2-week mission to develop techniques for a planned trip to an asteroid. 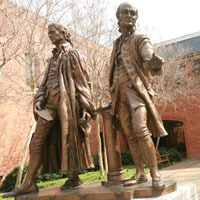 People interested in pursuing graduate studies in education will have the chance to explore William & Mary's offerings this week. The College of William and Mary has received a sole-source contract from the Department of Defense for a total of $2.5 million over three years. 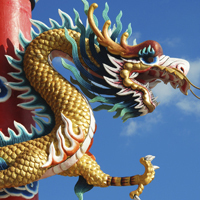 As China continues to emerge as an economic superpower, one of the challenges it faces is deciding how to further enhance its market economy through its private property laws. The scholarship is awarded to students interested in studying abroad in Asia or Southeast Asia, and carries a requirement to perform a service project upon your return. 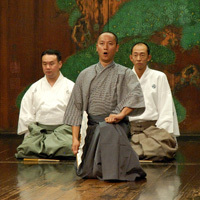 Japanese culture of 'cute' scores an international victory over samurai and ninja. 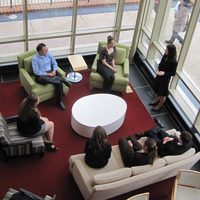 Students engage with the Foodbank of the Virginia Peninsula to learn how business principles apply to non-profit organizations. 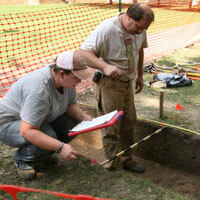 Goal is to aid restoration efforts by resolving group’s tangled classification. 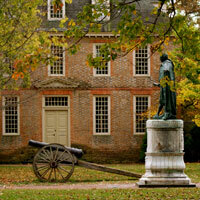 The Greater Williamsburg Chamber and Tourism Alliance recognizes W&M community with two awards. 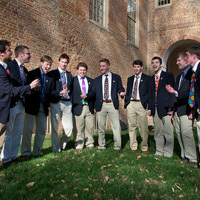 William & Mary a capella group The Gentlemen of the College will perform in New York City over Columbus Day weekend, with one performance expected to air on live TV. 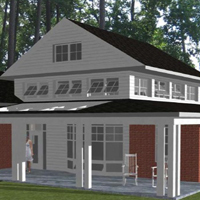 A state-funded expansion and renovation project has solved the space problem at Small Hall, adding 21,000 square feet to the home of William & Mary's Department of Physics. The votes are in and Kevin Byrne ’00 has been chosen as the winner of Chicago's Museum of Science and Industry "Month at the Museum 2" contest. The U.S. Marine Band will premiere a new work by William & Mary's director of bands in Washington D.C. this week. 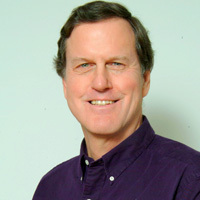 Author to discuss the lasting impact of "Uncle Tom's Cabin"
David S. Reynolds's new book “Mightier than the Sword: Uncle Tom’s Cabin and the Battle for America,” coincides with the 200th anniversary of Harriet Beecher Stowe's birth. 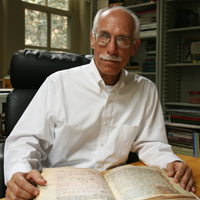 George Greenia, a professor of Hispanic studies, details the discovery and historic contents of a medieval document signed by King Fernando IV. When William & Mary Student Assembly President Kaveh Sadeghian '12 e-mailed the student body, asking them where they were over the summer and what they were doing, more than 500 students from across the globe responded. Sustainability Fellow Sarah Hanke, student Max Cunningham, and alum Lauren Edmonds ’11 will make presentations at Pittsburgh event. 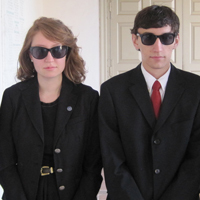 Oldest student-run international service project serves Bosnian children and student teachers in new, innovative ways. 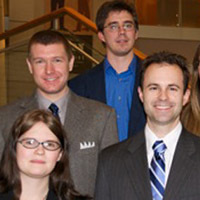 W&M Law School announces 2011 Anderson Scholars. 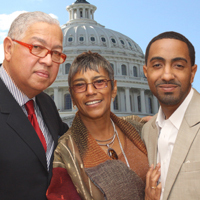 Two alumni who are noted legal scholars - Board of Visitors member and William & Mary Law School graduate Robert E. Scott and his wife, Elizabeth S. Scott, a graduate of the College of William & Mary create the Scott Legal Research Professorship. The Institute of Bill of Rights Law at William & Mary Law School hosted the 24th annual Supreme Court Preview on Sept. 23-24. 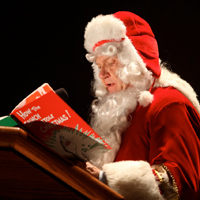 The event runs from 7-8:30 p.m. at the Muscarelle Museum of Art. 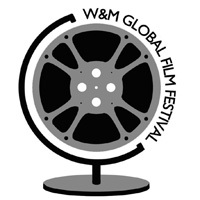 The College of William and Mary's Global Film Festival has announced its 2012 theme: "Film and the City." 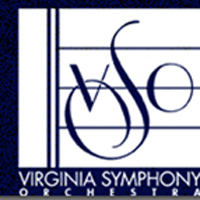 Virginia Symphony Orchestra will kick off a series of classical performances at Phi Beta Kappa Hall on Oct. 6. 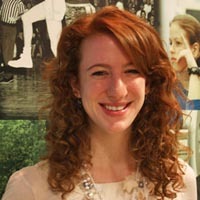 Alena Stern '12 works with AidData, World Bank, UNICEF, Ushahidi on international development and foreign aid. 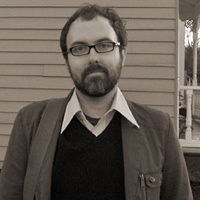 Kevin Byrne ’00 is one of six finalists for the Month at the Museum 2 contest. The winner will be decided by a public, online vote. 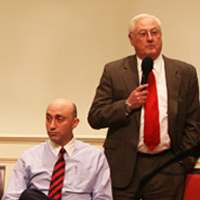 BOV approves proposed regulations that would restrict weapons on university property. Business, law and government faculty shared their views on the state of the economy for the fourth annual Economy Forum. All five professors agreed the recovery will take more time. 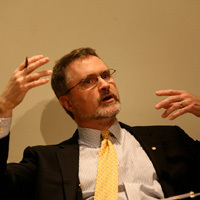 Associate Professor of History Andrew Fisher wins the 2011 Raft Debate in convincing fashion. Alex Atkins ’13 and Kedar Pavgi ’11 invited to attend Athgo International’s 4th Global Innovation Forum on Climate Change and Constructive Entrepreneurship based on AidData involvement. 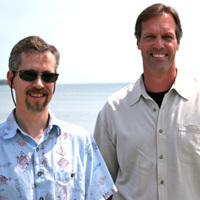 Group honored for computer modeling of storm-tide flooding. 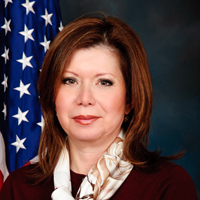 Institutes of higher education are now required to submit six-year plans by the Higher Education Opportunity Act of 2011 (TJ210. A family reunion of sorts will take place at the William & Mary School of Education on Saturday as former and current faculty, staff, alumni and students gather to celebrate the modern school's 50th anniversary. Hundreds of parents, grandparents, siblings and other relatives of William & Mary students will converge on campus beginning Sept. 23 for the College's annual Family Weekend. Administration officials update BOV members on the progress of the new fraternity housing complex and other proposed projects during their Sept. meeting. 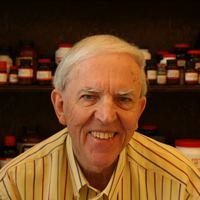 This year’s honorees are Everett Fahy and David Crank. 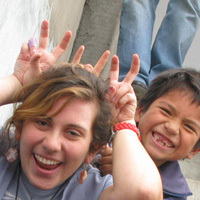 W&M students and families invited to explore study abroad opportunities. 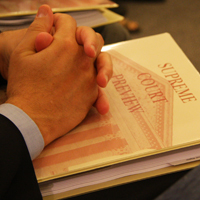 The Institute of Bill of Rights Law at the William & Mary Law School will host its Annual Supreme Court Preview Sept. 23-24. 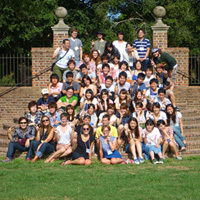 Extended orientation designed to give international students the tools to succeed at the College of William & Mary. 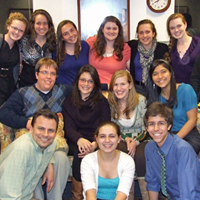 Dedicated and decorated writers from all genres have guided W&M's best young talent for nearly 40 years. 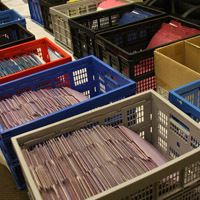 The Special Collections Center at the Earl Gregg Swem Library begins project to transcribe thousands of Civil War era documents. 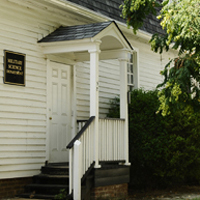 W&M's group to receive the Make a Difference Award from the National Panhellenic Council for its work with ARC of Greater Williamsburg. 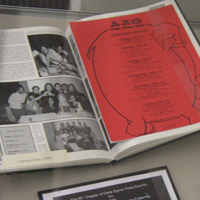 Two fraternities start archive collections at Swem. During the past year, faculty experts throughout the academic disciplines were called upon by the national media for their expertise on political and economic issues, cutting-edge research and news making national and international headlines. 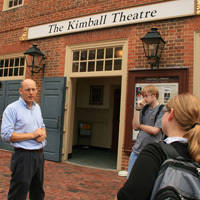 On tour of Colonial Williamsburg, new law students encouraged to live up to Founder's ideals. 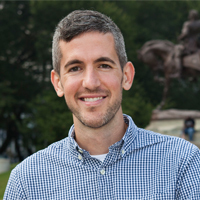 Government and International Relations Associate Professor Michael Tierney interviewed on With Good Reason about AidData and aid transparency. 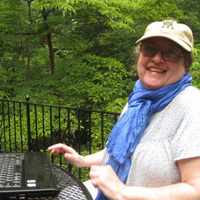 William & Mary anthropologist Barbara King has begun a guest-blogging stint on 13.7: Cosmos and Culture, a web-based feature of National Public Radio. 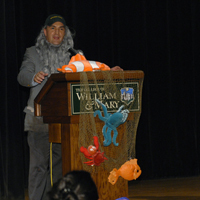 The Raft Debate, a much beloved William & Mary tradition, will be held at the Commonwealth Auditorium in the Sadler Center, on Sept. 22 at 6:30 p.m. 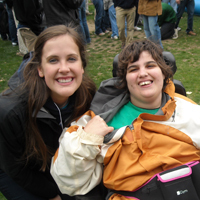 Many of the students who have had the chance to participate in research at William & Mary describe it as an important or even life-changing part of their college careers. Now, a new program at William & Mary is seeking to make sure that everyone in the College's diverse population has the opportunity to have that experience. Sponsored by the Reves Center for International Studies, the Writing Resource Center, and the Office of the Dean of Arts & Sciences for faculty and staff working with international students. 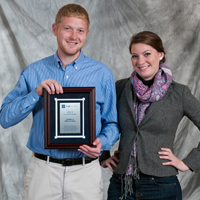 Cohen Career Center receives LEED Gold from U.S. Green Building Council. Top W&M faculty will discuss what happened and what's ahead for the U.S. economy on Wednesday, Sept. 21 at Miller Hall. This letter comes from Donn and Jeanne Weaver, the parents of Lt. Todd Weaver '08, killed in combat on Sept. 9, 2010. 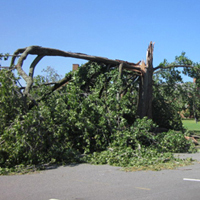 The William & Mary Student Assembly and the Office of Community Engagement and Scholarship are joining together to replace some of the trees on campus and in the community that were destroyed by Hurricane Irene. 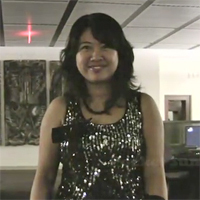 Series of three lectures opens Thursday at Small Hall, room 110. 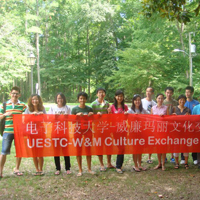 Variety of activities introduce international students to American culture, off campus and on. 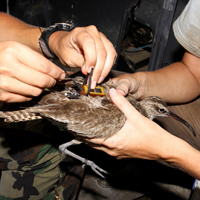 Machi, one of the quartet of whimbrels that survived encounters with Hurricane Irene, also made it through Tropical Storm Maria—only to be killed by hunters in Guadeloupe. The start of the fall semester means it's time for college rankings and William & Mary has once again been highlighted by several national publications. 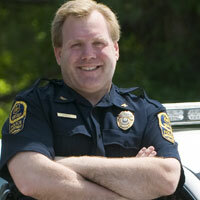 WMPD Chief Challis inducted into R.A.D. Hall of Fame. The memorial in the Wren Courtyard, "A Program of Remembrance and Reflection," was the culminating event of a day of activities and gestures in memory of the lives lost on Sept. 11. 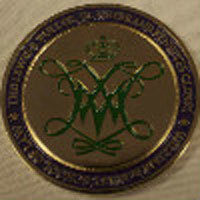 The College of William and Mary has been designated a Military Friendly School by G.I. Jobs, according to an announcement made by the magazine today. 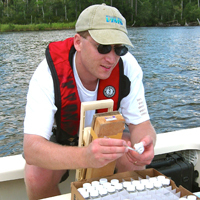 VIMS professor Bob Diaz is part of a nationwide team that recently received a three-year, $12M grant to study the effects of the Deepwater Horizon oil spill on the Gulf and its marine life. 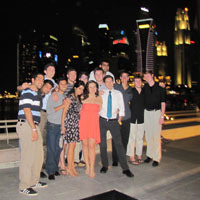 International spouses and significant others connected to the College come together for fun, friendship and support. 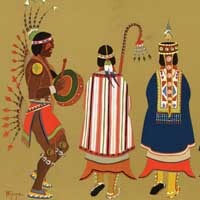 In Memory Still: A Kiowa Legacy in Art on view at the Muscarelle Museum of Art September 10 – November 13. Opening reception and lecture Friday, Sept. 9, 5 – 8 p.m.
Jeremy Stoddard, Sallie Gertrude Smoot Spears Distinguished Associate Professor at the William & Mary School of Education, has been researching how the attacks on 9/11 and their aftermath are incorporated into secondary school curriculum, textbooks and, most recently, state social studies standards. 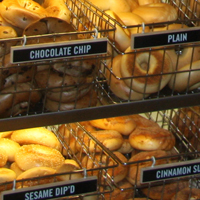 A line of students, their backpacks, textbooks, and sleeping bags snaked through Lodge 1 in the Sadler Center early Tuesday morning as the grand opening of the newly established Einstein Bros. Bagels neared. It's official. 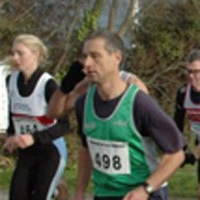 The whimbrels are four-for-four-undefeated against Hurricane Irene. 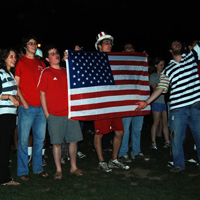 The College of William and Mary will mark the 10th anniversary of the Sept. 11 attacks with several events on Sunday, including a remembrance ceremony. 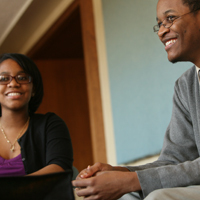 William & Mary is the only public university in Virginia that offers student-to-student interviews as part of its application process. NYT's columnist Adam Liptak references a law review article by William & Mary Law Professor Allison Orr Larsen in his column this week. 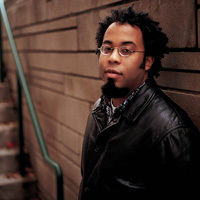 Poet Joshua Poteat possesses a unique combination of teaching experience and a highly decorated body of work. 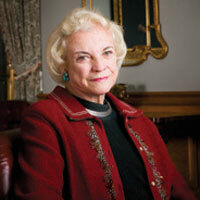 Gates will succeed retired U.S. Supreme Court Associate Justice Sandra Day O’Connor, who will complete her term in February 2012. 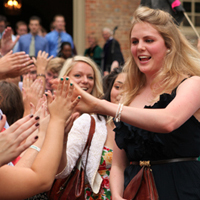 Hurricane Irene may have delayed William & Mary's Convocation for a week, but it couldn’t dampen the spirits of the College's new students as they kicked off the 2011-12 academic year on Friday with the traditional walk through the Wren Building. 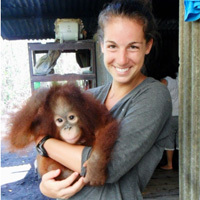 Assistant field hockey coach Wesley Drew '10 spent 25 days in Borneo this summer working to improve the habitat for orphaned orangutans. 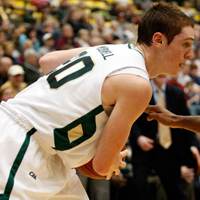 William & Mary takes on UVa in their season opener away in Charlottesville. 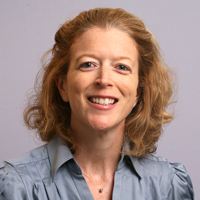 The following are the 2011 Convocation remarks of Vice President for Student Affairs Ginger Ambler '88, Ph.D. '06. 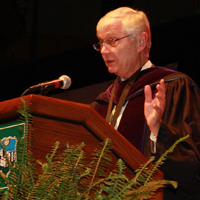 The following are President Taylor Reveley's prepared closing remarks for the 2011 Opening Convocation ceremony. 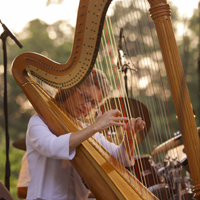 The Virginia Symphony Orchestra, which includes members of William & Mary's applied music faculty, presented a free concert under the stars at the lakeside venue on Thursday, sponsored by the City of Williamsburg and the College. 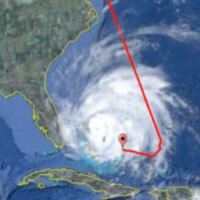 Due to Hurricane Irene Opening Convocation rescheduled for Sept. 2. 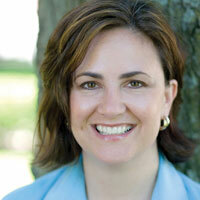 Vice President for Student Affairs Ginger Ambler '88, Ph.D. '06 to speak. 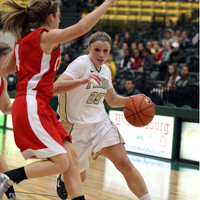 The senior from New Jersey aims to lead the Tribe deep into the NCAA playoffs this season. The newest student members of the Law School community arrived on Aug. 15. 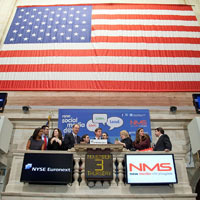 WMLS achieved a new milestone in private support. Giving to the Law School totaled more than $3.3 million - the largest amount in the Law School's history - during the fiscal year that ended June 30. 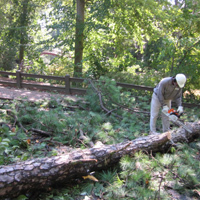 Though the hurricane threatened to do its worst, its approach didn’t stop the William & Mary community from pulling together and offering assistance to one another in advance of the storm. 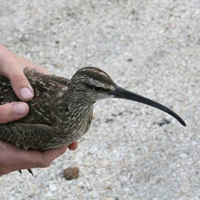 W&M scientist track migrating whimbrel through Hurricane Irene. National news outlets, including ABC News and USA Today, take note. 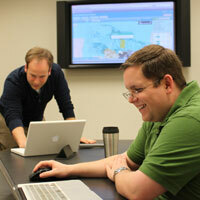 Agencies and public use VIMS data products to plan for storm. William & Mary scientist tracking migrating shorebirds spot one that appears to have survived flying through the most dangerous segment of Hurricane Irene. 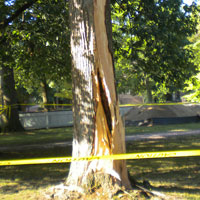 A 5.8 magnitude earthquake that shook central Virginia in 2011 was felt up and down the East Coast. 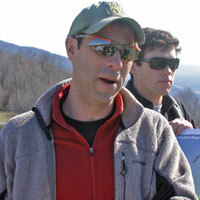 Geology Professor Chuck Bailey was called on to explain the event. Approximately 200 of the College's newest students -- both freshmen and transfers -- participated in the Office of Community Engagement and Scholarship’s fifth annual Students Helping Out Williamsburg (SHOW) Day on Tuesday, the same day on which a rare earthquake was felt throughout the region. In partnership with Beijing Normal University and the Office of Chinese Language Council International (Hanban), the College will offer Chinese language and culture courses, provide teacher training, and support study abroad, officials announced Tuesday. 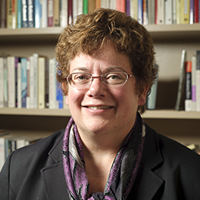 The Center's new director and vice provost comes to the College from the University of Washington in Seattle. 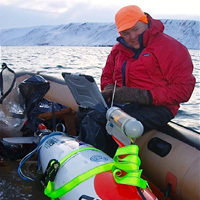 The Association for Unmanned Vehicle Systems International has named professor Mark Patterson of the Virginia Institute of Marine Science, College of William and Mary, as the inaugural winner of its "Member of the Year" award. Brown and her husband Kevin were among the hundreds of the parents, friends, family members and volunteers who helped William & Mary’s newest students move bedspreads, mirrors, rain boots and min-fridges into the College's residence halls this morning as part of freshman move-in day. 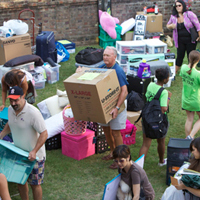 For many of the freshmen who are settling into residence halls at William & Mary today, the move to campus was only the first or second of their lives. But for Matt Green-Hill, moving is an all-too-familiar experience. 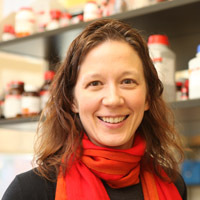 Lisa Landino studies the chemistry behind what she calls "the big three" neurodegenerative diseases: Parkinson's, amyotrophic lateral sclerosis and Alzheimer's. 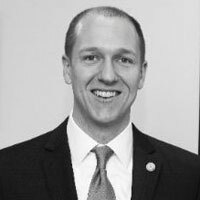 William & Mary alumnus G. Paul Nardo '88 was recently elected by the Virginia House of Delegates as Clerk of the House of Delegates and Keeper of the Rolls of the Commonwealth. 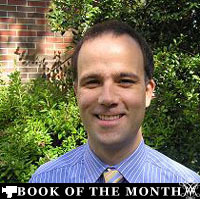 The stage in Phi Beta Kappa Hall usually serves as the canvas on which Matthew Allar creates an array of theatrical worlds for William & Mary's students and patrons to enjoy throughout the year. It’s move-in time at the nation’s second-oldest institution of higher education and the William & Mary community is preparing to welcome one of its most accomplished classes to date. Armond Caplan ’33 recently received an extra special gift, one that made him swell up with pride. 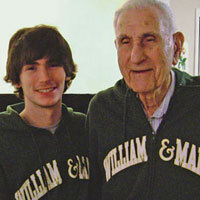 Just before celebrating his 99th birthday, he learned that his great-grandson, Ryan Cleland ‘15, will be the first in their family to follow after Caplan and attend his beloved alma mater. 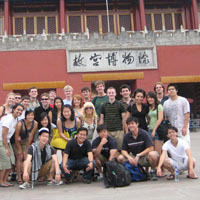 The College enrolls 468 international students for the 2011-12 academic year. 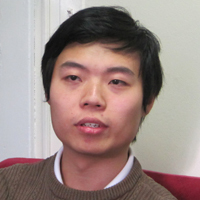 William & Mary mathematician Chi-Kwong Li has been awarded a Fulbright grant by the Council for International Exchange of Scholars. 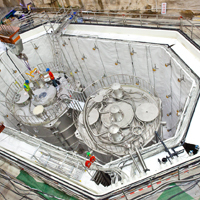 A team of William & Mary physicists has an important role in the Daya Bay Reactor Neutrino Experiment, a multinational collaboration to advance science's understanding of ubiquitous, yet mysterious, particles known as neutrinos. 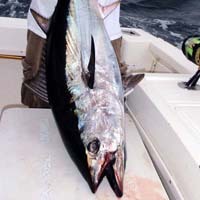 A global study by an international team including professor John Graves of the Virginia Institute of Marine Science, College of William and Mary, has found that several species of tunas and billfishes are threatened and in need of further protection. 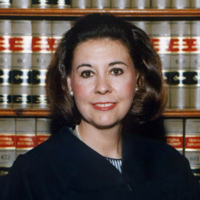 U.S. District Judge Rebecca Beach Smith '71, J.D. 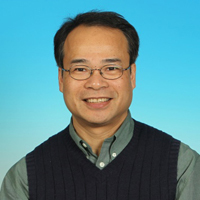 '79, will speak at William & Mary's Opening Convocation Ceremony on Aug. 26 at 4:30 p.m.
Students and faculty members from the University of Electronic Science and Technology of China (UESTC) - William & Mary's new "sister university" - visited Williamsburg in July and August to take classes, make friends and share information about their lives, culture and education with the College's faculty and students. The twenty-first Cross Cultural Collaboration between Keio University and the College of William & Mary begins in Williamsburg, ends in Washington D.C.
Erika Oldenkamp Malik '08 is playing on the LPGA's Futures Tour and living the not-so-glamorous life of a young pro golfer. 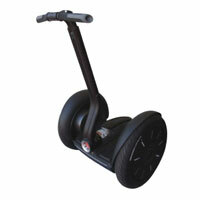 The new use of two-wheeled, self-balancing personal vehicles called Segways have helped cut fuel costs while offering the staff a more feasible way to maneuver the lots on campus. 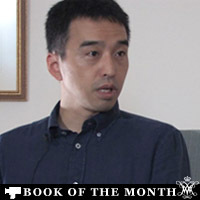 Hiroshi Kitamura discusses his new book "Screening Enlightenment." 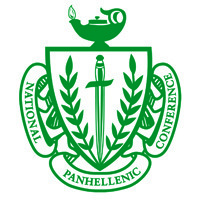 The William & Mary Panhellenic Council, the College's sorority governance council, has been named the recipient of the National Panhellenic Conference's biennial "Make a Difference" Award for its work with Arc. 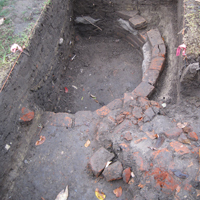 College archaeologists partially unearth foundation they say looks to be the remains of “a fairly massive outbuilding” dating to the 18th century near the College's historic Wren Building. 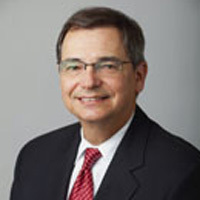 The Association of Governing Boards announced today that Jeffrey B. Trammell ’73 has been appointed to its Council of Board Chairs. 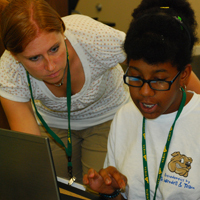 Twelve elementary-school teachers and 16 fourth- and fifth-graders dive into problem-solving, inquiry-based education. Ride the last 13 miles with the W&M Bikers as they complete the final trek of their three-month journey this Saturday, Aug. 6. 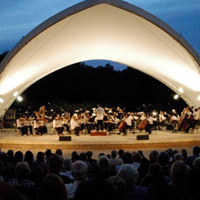 The Virginia Symphony Orchestra (VSO) will perform a free concert Thursday, Sept. 1, 2011 at 7:30pm at William & Mary's Lake Matoaka Amphitheatre. 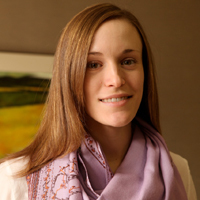 Graduate student Bronwen Watts used W&M international connections to arrange an independent study of higher education in China. The rankings season has officially begun and William & Mary continues to be recognized as one of the nation's top universities. A cobia caught this June provides hope that the species could be a candidate for stock enhancement. 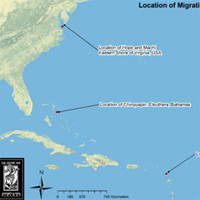 Since its release by researchers in 2008, the hatchery-raised and tagged fish has made 3 round-trips between Chesapeake Bay and the Florida Keys, doubled in size, and gotten caught at least twice. Sport Fishing magazine has chosen professor John Graves of the Virginia Institute of Marine Science as one of five winners of its inaugural Making a Difference awards. 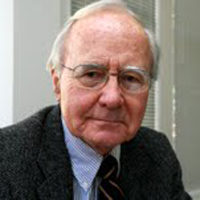 Famed scholar, founder of religious studies, and first dean of undergraduate studies at the College, died Sunday at age 81. 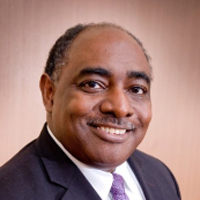 Davison M. Douglas, dean of William & Mary Law School, is the recipient of a 2010 Distinguished Service Award from the National Center for State Courts (NCSC). 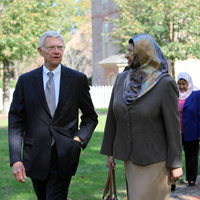 The College of William and Mary has been selected as one of 200 colleges and universities nationwide to participate in the President’s Interfaith and Community Service Campus Challenge, which seeks to motivate institutions of higher learning to foster interfaith cooperation through service. 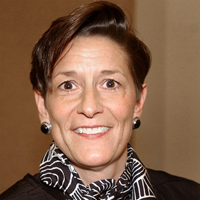 Last Friday, the General Assembly elected Virginia Court of Appeals Judge Elizabeth A. McClanahan ’81 to the Supreme Court of Virginia. Virginia’s oyster aquaculture industry is poised to begin its biggest growth spurt ever, according to a report from Virginia Institute of Marine Science and Virginia Sea Grant. 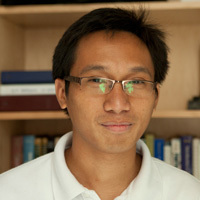 Reinard Primulando, a Ph.D. student in the William & Mary Department of Physics, is a recipient of a Fermilab Fellowship in Theoretical Physics. The William & Mary Real Estate Foundation announced today that three businesses have signed leases to open this fall in Tribe Square. Elizabeth Barnes considers the roots of American exceptionalism. 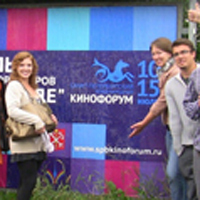 Participation in second annual event helps students not only learn more about Russian culture and films, it exposed them to 10 superb films from around the world. 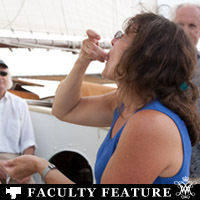 Passengers aboard the Yorktown-based Alliance were invited to sample jellyfish pulled from the water by VIMS professor Deborah Steinberg. 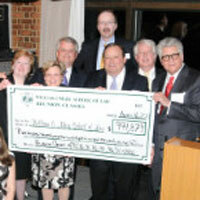 W&M breaks record in donor giving both by individuals and alumni. 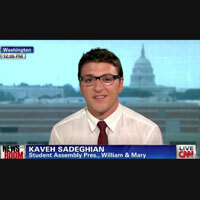 Student Assembly President Kaveh Sadeghian ’12 was interviewed on mid-afternoon program “CNN Newsroom” about the impact of the U.S. debt ceiling crisis on the country’s next generation. 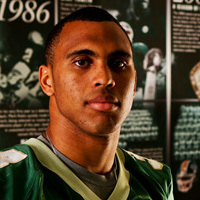 National publication selects Jimmye Laycock's 33rd edition of the Tribe the nation's best entering the 2011 FCS season. A collection of atoms in the basement of Small Hall is a million times colder than outer space. It’s one of the coldest spots in the universe, but it’s not cold enough. Yet. William & Mary's Cohen Career Center is launching a new program this fall that will help freshmen and sophomores explore their interests and begin thinking about potential majors and career choices. 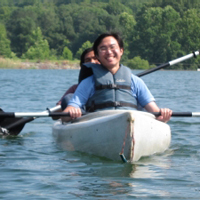 Opportunities created for international students to have fun, explore local community with friends. Sometimes you want to prevent extinction. In other cases, you want to hurry extinction along. 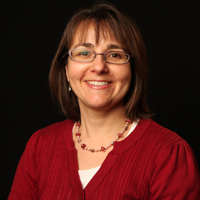 William & Mary Associate Professor Anne Charity Hudley has been awarded a grant from the National Science Foundation (NSF) to study how cultural and social language patterns affect learning and student assessment in STEM (Science, Technology, Engineering and Mathematics) classrooms. Among the eight gymnasts honored is Matt Holmes '11, a four-time first-team academic All-American. 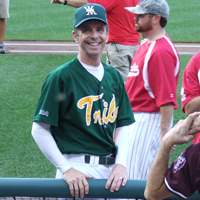 Congressman Rob Wittman (R-Virginia) saluted the green and gold Thursday night as he wore a Willliam & Mary Tribe uniform in the Annual Roll Call Congressional Baseball Game. Two William & Mary Law School students received some unusual training last year: they were able to assist a major law firm with a property rights case involving meteorites. Lillian McManus ‘12 and Brittany Law ‘12 will be able to add “space law” to the list of practice areas with which they have experience. 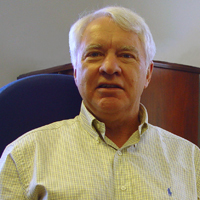 Professor Emmett Duffy of the Virginia Institute of Marine Science (VIMS) has been honored with the inaugural Kobe Award for his achievements in marine science. 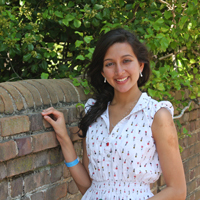 Rising senior will attend a pair of three-day seminars in the nation's capital to discuss national issues with experts. 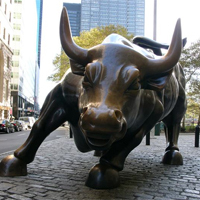 The trading floors of Wall Street are the farthest things from the ivory towers of academia. 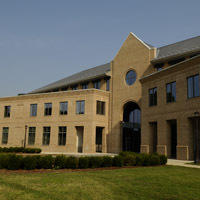 But the Mason School’s commitment to “bring business into the business school” drove the establishment of the Marshall Acuff Financial Markets Center, as well as the activities that go on inside it. First-year students take concepts and ideas from the classroom and apply them in real-world situations for summer research projects. The College of William and Mary's School of Education has received LEED Gold certification from the U.S. Green Building Council. William & Mary’s international development research program, AidData helped design and populate an interactive map for the African Development Bank (AfDB) that depicts the precise locations of the bank’s ongoing projects in Cameroon, Morocco and Tanzania. 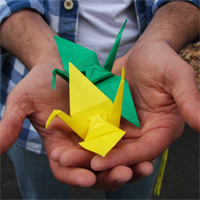 Two groups of students and alumni from William & Mary will premiere their artistic talents on stage at the nation’s second largest Fringe Festival. 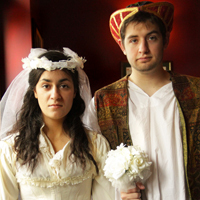 The Virginia Shakespeare Festival opens its 33rd season on July 6 with "Comedy of Errors." 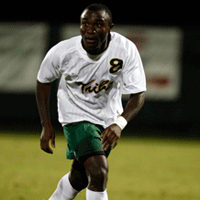 Ghana native becomes the fourth male athlete from the College so honored. Nine current and former fellows and members of the selection committee recently gathered in Williamsburg to mark the anniversary and remember the program's namesake. 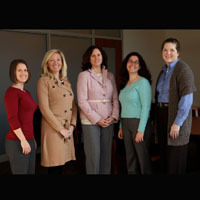 They began four-year terms July 1 replacing John Gerdelman, Kathy Hornsby, Anita Poston and Henry Wolf. More undergraduate alumni contribute to the College than ever before -- more than 13,600 and still counting. 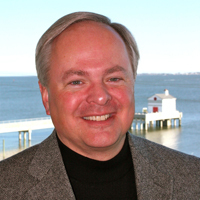 The Chesapeake Bay Program’s Scientific and Technical Advisory Committee (STAC) has appointed Kirk Havens of the Virginia Institute of Marine Science, College of William and Mary, to serve as the Committee’s Vice Chair and Chair-Elect. 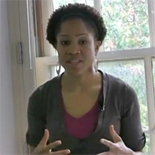 She will teach at the University of Sousse in Tunisia for the 2011-2012 academic year. 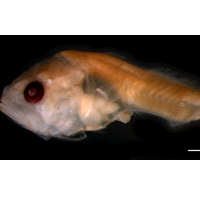 For three weeks, an international group of 16 fisheries students has focused its attention on the smallest of the small -- the eggs, larvae, and juveniles of 180 different fish families. 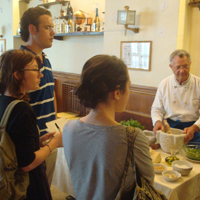 W&M professor and three students have just returned from 12 days in Italy studying the Slow Food phenomenon. The Weaver family will attend an upcoming Peninsula Pilots game and a Baltimore Orioles game against the Toronto Blue Jays in memory of their son. Both offer opportunities for you to join them. 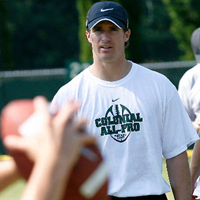 Aaron Rodgers, starting quarterback for the Green Bay Packers and Super Bowl XLV MVP, visited William & Mary’s campus Tuesday to throw some passes and give some pointers to the participants in the College’s annual Colonial All-Pro Camp. 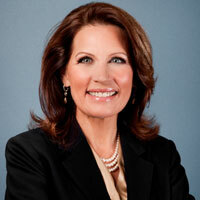 Minnesota Congresswoman and William & Mary alumna Michele Bachmann LLM ‘88 officially launched her run for president on Monday during a campaign event in her hometown of Waterloo, Iowa. 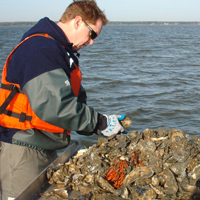 Development of disease resistance among Chesapeake Bay oysters calls for a shift in oyster-restoration strategies within the Bay and its tributaries, according to a new study by researchers at VIMS. 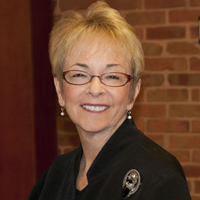 Anne Shumadine has served the legal profession and her community as a true "citizen lawyer." 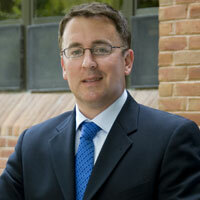 Jeff Palmore '00, J.D. 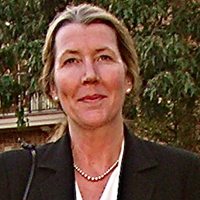 '09,named Gov. 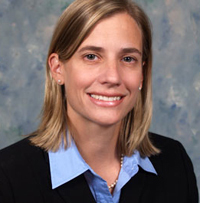 Bob McDonnell's director of policy development an deputy counselor. 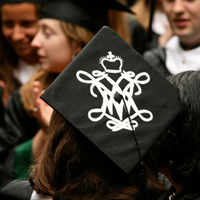 Last fiscal year, William & Mary reached its second-highest level of undergraduate alumni donors ever. 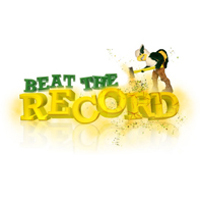 This year, many members of the College community are eyeing, and hoping to beat, the all-time record. Over the last year, a task force at the College has looked more closely at William & Mary's role in tourism, and, recently, it released a report in which it suggested six tourism goals for the College to adopt. Hope the whimbrel has arrived safe at her Arctic breeding grounds. 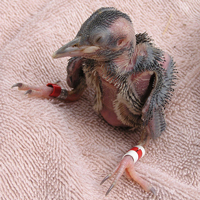 The Center for Conservation Biology has tracked the spring and fall migrations of Hope for three years after she was captured on May 19, 2009 on the Eastern Shore and fitted with a solar-powered satellite transmitter. 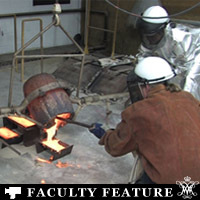 Students learn the centuries-old tradition of casting bronze as a form of artistic expression. 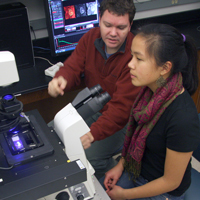 Matthew Wawersik spends a lot of time looking at fruit flies. 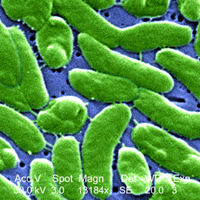 His lab uses these little bugs as a model to study germ line stem cell development. 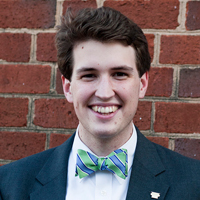 William & Mary alumni fill the guest roster on this week's Fox News Sunday. 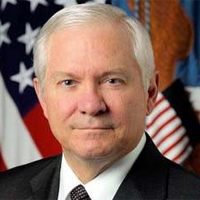 Host Chris Wallace will welcome Robert Gates '65 and Jon Stewart '84. 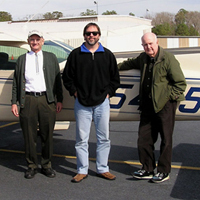 W&M bird scientists Mitchell Byrd and Dan Cristol were each honored for their contributions to ornithology by the Virginia Society of Ornithology (VSO). 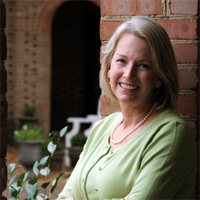 William & Mary alumna Carolyn "Biddy" Martin '73 has been named the next president of Amherst College. 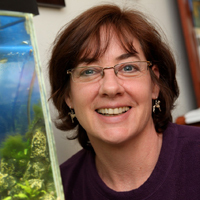 The National Oceanic and Atmospheric Administration (NOAA) has selected Professor Tracey Sutton of the Virginia Institute of Marine Science to lead a survey of deep-sea life in the Gulf of Mexico as part of the long-term scientific response to last year's Deepwater Horizon oil spill. 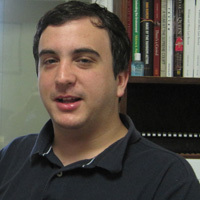 Omohundro Institute's Daniel Livesay told a conference at the University of Texas how mixed races were viewed and their degrees of acceptance by British society in the 18th century. 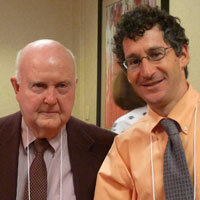 Chemistry Professor William Starnes received the Elliott Weinberg Vinyl Communications Award at May conference. In the shade of the Wren Yard's oak trees, hundreds of William & Mary employees gathered on Friday to greet old friends, enjoy a free lunch, win prizes, dance and laugh during the College's Employee Appreciation Day. 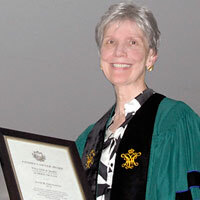 Kulick recognized for her service and governance contributions to William & Mary. 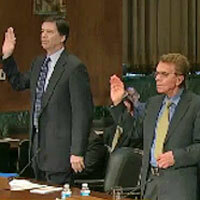 Lee Law Professor William Van Alstyne and James Comey '82 testified June 8 before the Senate Judiciary Committee. 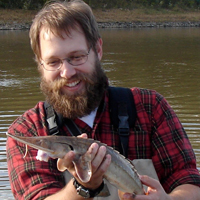 Professor Mark Brush voted president-elect of the Atlantic Estuarine Research Society (AERS), the mid-Atlantic regional affiliate of the international Coastal and Estuarine Research Federation (CERF). 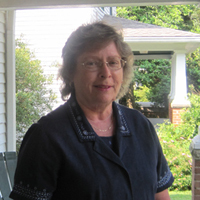 Betsy Croswell and dozens of other dedicated workers will be honored at Employee Appreciation Day on June 10. 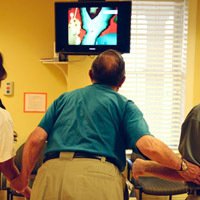 William & Mary's Schroeder Center for Health Policy receives grant to study medicare payment systems. 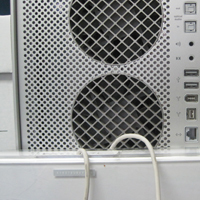 The projects reflect a strong interest in recycling and other energy-efficient initiatives. 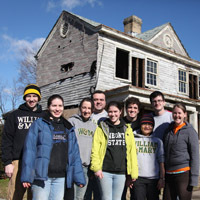 The College of William and Mary's Branch Out alternative break program has been named program of the year in Break Away's 2011 National Alternative Break Awards. Virginia's breeding population of red-cockaded woodpeckers reached a new high this year, with nine breeding pairs documented in late May. 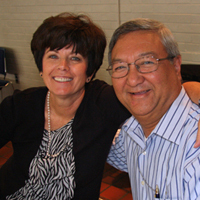 The following individuals will be recognized for 35 and 40 years of service during the College's annual Employee Appreciation Day, June 10, 2011. 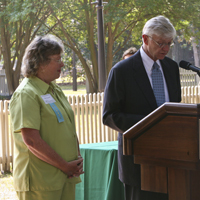 The following people will be recognized at the College of William and Mary's Employee Appreciation Day for reaching milestones in their years of service to the College. 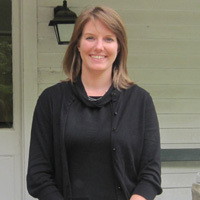 Katherine Preston recently took the helm of the Society for American Music. But overseeing a national scholarly organization with close to 1,000 members isn’t the only thing keeping the musicology professor busy this year. 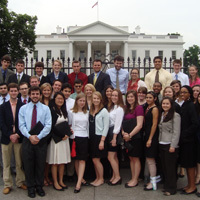 This summer, 34 William & Mary students are participating in the W&M D.C. Summer Institutes (DCSI), a competitive six-credit academic program that allows undergraduate students to combine classroom and experiential learning while seeing the dynamic institutions of the Washington, D.C. area firsthand. 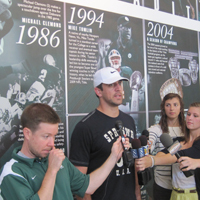 The camp runs from June 26-29 on campus. Spots are available for interested campers. 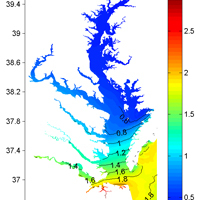 High-tech tool will allow for imaging of blue crabs on oyster reefs. 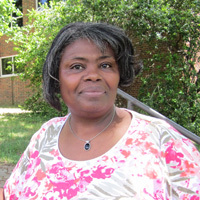 The Virginia Library Association awarded William & Mary's Deloris Thomas with its Outstanding Paraprofessional Award. 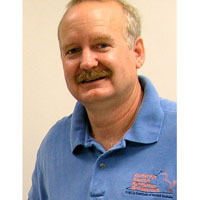 Professor Mark Patterson of the Virginia Institute of Marine Science, College of William and Mary, will manage logistics for the 4th International RoboBoat Competition, which will take place June 9-12 at the Founders Inn in Virginia Beach. 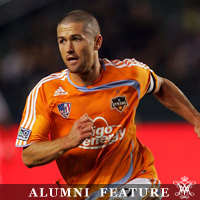 Wade Barrett '98 truly embodies the Tribe spirit; he is a team player, both on and off the field. 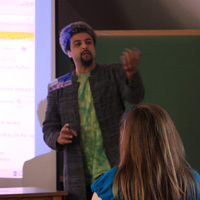 The College of William & Mary hosted the 2011 Digital Mapping Techniques Conference in May. 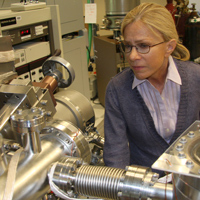 The William & Mary group is part of a new industry-academia-government collaboration, the Virginia Nanoelectronics Center (ViNC). 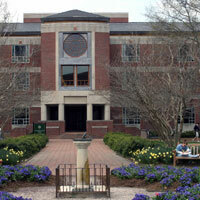 ViNC is based at the University of Virginia; the partnership also includes Old Dominion University. 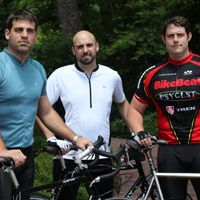 Three MBA students take a break from the traditional summer internship and embark on a 4,250-mile bike trip across the country. 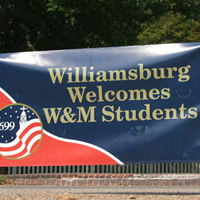 4,200 runners/walkers come to Williamsburg and W&M for a full weekend of competition and fun. And all for two good causes. Program announcement on new departmental board members. 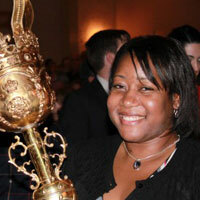 As the Draper's Scholar, Shanda King will spend next year at Queen Mary College of the University of London. 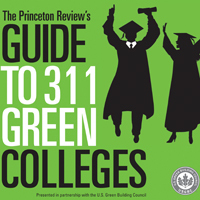 According to Bloomberg BusinessWeek, the Undergraduate Business Program is the best in the country for sustainability. 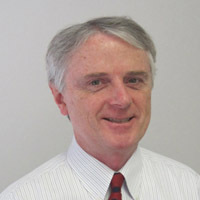 Douglas Bunch, B.A. '02, J.D. 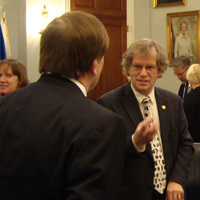 '06, and Douglas Smith, J.D. 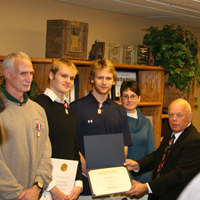 '06, were recognized as co-recipients of the Taylor Reveley Award during graduation on May 15 for their work on behalf of children in the developing world. 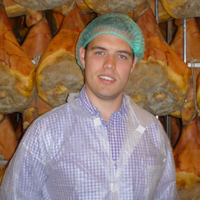 The group includes the first graduate or professional student to receive a COS Summer Research Grant. Men's and women's gymnastics acknowledged for academic excellence for the sixth consecutive year. U.S. Senator Mark Warner of Virginia drew applause and laughter with advice he gave to the Class of 2011 during the Law School's May 15 graduation ceremony. 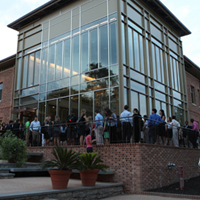 W&M Law School graduates, family and friends gathered on May 14 to celebrate the students' many accomplishments. 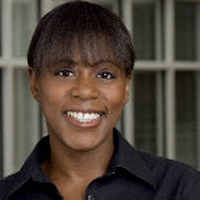 Alumna is serving as race director for fund-raising event that will begin and end on campus. 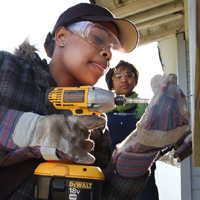 Later this month, while many members of the William & Mary community will be going back home, locking up their offices, and beginning plans, jobs and vacations for the summer, 20 members of the Tribe will helping to rebuild the Ninth Ward in New Orleans. 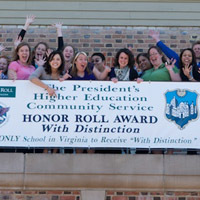 For the second consecutive year, the College of William and Mary has been named to the President's Higher Education Community Service Honor Roll with distinction. 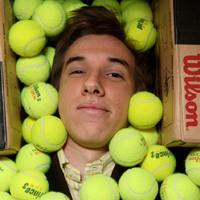 William & Mary's Class of 2011 got an unusual piece of advice from their Commencement speaker on Sunday afternoon: "Go play in traffic." 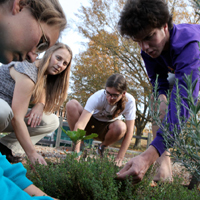 Program offers its faculty, staff and students the opportunity to contribute personally to an in-house carbon-offset initiative. 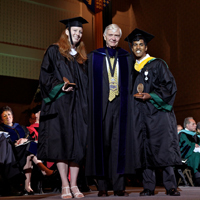 Several awards are presented annually to graduates, staff and faculty members during the William & Mary Commencement ceremony. 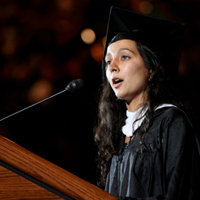 The following are the prepared remarks by Kalyani Hemant Phansalkar, student speaker at the 2011 William & Mary Commencement ceremony. 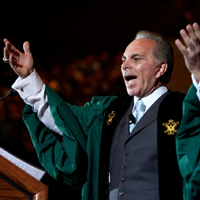 The following are the prepared remarks by Joe Plumeri '66 for the keynote address at the 2011 William & Mary Commencement ceremony. 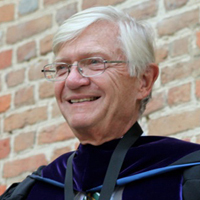 The following are the prepared closing remarks of President Taylor Reveley for the 2011 William & Mary Commencement ceremony. 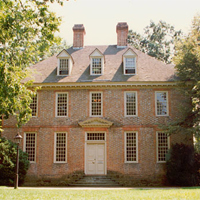 The College of William & Mary is raising funds to renew and preserve the historic Brafferton. 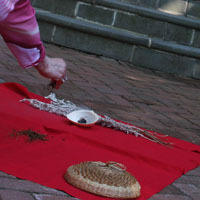 The William & Mary community honored students of the Brafferton Indian School, housed at the College from 1723 until the Indian School was discontinued at the time of the Revolutionary War, with a special ceremony April 30. 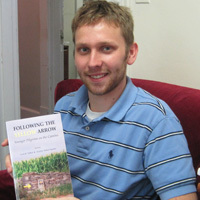 Following the Yellow Arrow: Younger Pilgrims on the Camino is a collection of essays edited by Andrew Talbot Squires '11 and Lynn K. Talbot. 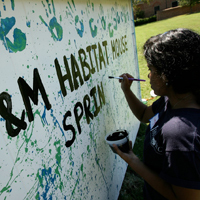 William & Mary was once again a leader in the area of service during the 2010-11 academic year, according to data collected by Break Away, a nonprofit organization that helps colleges promote alternative break programs. 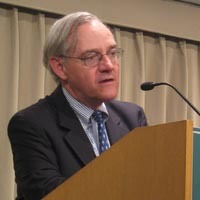 On May 5, Professor and Government Department Chair John McGlennon and John Marshall Professor Ron Rapoport spoke to 70 alumni, students, professors and Board of Visitors members at the Washington D.C. offices of DLA Piper about their research concerning what's in store for the 2012 elections. 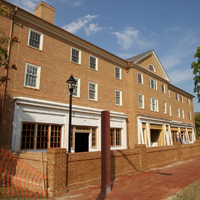 The renovations to Tucker Hall could begin in early 2012 thanks to some last-minute funding allocated in the Commonwealth of Virginia's capital budget. 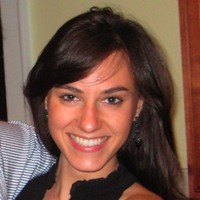 Ariana Berger '11 has been selected to participate in the Congress-Bundestag Youth Exchange for Young Professionals (CBYX), a year-long, federally-funded fellowship for study and work in Germany. 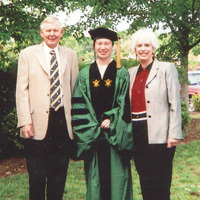 Each year, the William and Mary Alumni Association recognizes a select few friends who have demonstrated a lasting commitment to and genuine affinity for the College, even though they are not graduates. William & Mary sophomore Claire Crawford, born with a cleft lip, vividly recalls the eighth corrective surgery she had to undergo as a child. 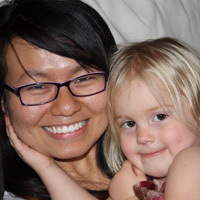 After a long and painful operation, Crawford, 12 years old at the time, started wondering if she was born with a cleft lip for a purpose, instead of simply wondering "why me?" 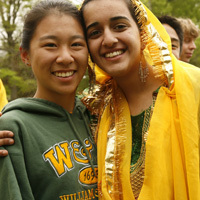 Kalyani Hemant Phansalkar has been selected as the 2011 student Commencement speaker for the College of William and Mary. 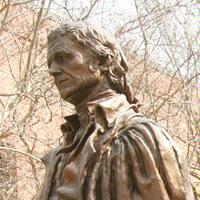 On April 28, the Thomas Jefferson Public Policy Program welcomed E.J. 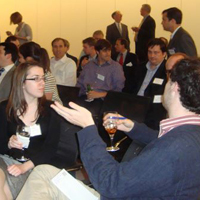 Dionne to speak at its seventh annual alumni event in the W&M Washington Office. 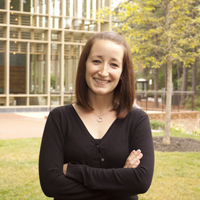 A William & Mary senior was recently honored by the Association for Teacher Educators – Virginia for research she conducted on preparing science and math teachers to reach diverse student populations. Twenty exceptional William & Mary faculty members have received prestigious Plumeri Awards for Faculty Excellence this year. 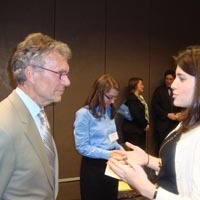 Former Senate Majority Leader Tom Daschle joined 70 students, alumni and Board of Visitors members April 27 for a reception and discussion about his thoughts on the relationship between government and the media. 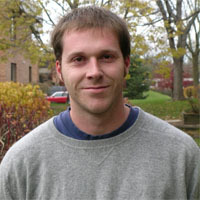 Gary Miller received both Bachelor's and Master's degrees from the College. 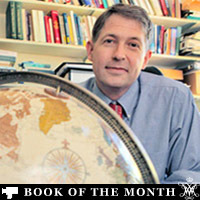 In his new book, Paul Mapp details imperial ambitions regarding North America during the pivotal period from 1713-1763. 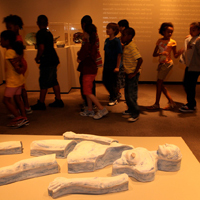 More than 800 students from Williamsburg-James City County, Newport News, York and Hampton County, participated in the second annual “Science Behind Art” event. 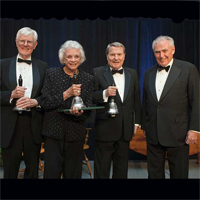 William & Mary Chancellor and retired U.S. Supreme Court Justice Sandra Day O'Connor was honored April 30 with the Colonial Williamsburg Foundation's highest honor. 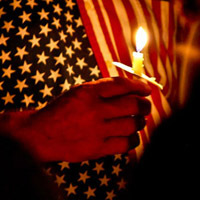 Today, William & Mary students, faculty, alumni and staff are still reacting to the news of Osama bin Laden's death. 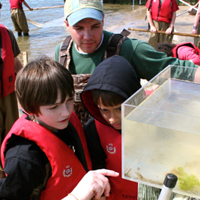 Thanks to the Virginia Institute of Marine Science, seventh graders in Gloucester, Mathews, and York counties have a new dress code: waders and a life jacket. 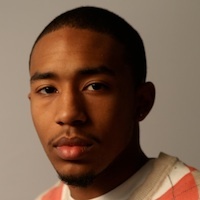 Noted author and pastor Kirk Byron Jones will serve as the speaker for William & Mary’s baccalaureate service on May 14. 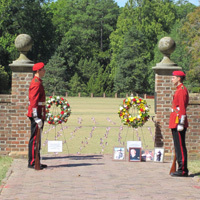 The service will take place at 9:30 a.m. in William & Mary Hall. 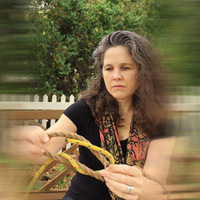 Susan Verdi Webster selected for fellowships by the Guggenheim Foundation and National Humanities Center. Students in William & Mary’s Watershed Dynamics class convened in the basement of Tyler and assumed the virtual roles of stakeholders —land developers, farmers, watermen, and local regulators—to simulate the challenges inherent in Chesapeake Bay management. Out-of-work commercial watermen succeeded in hauling up more than 10,000 derelict so-called "ghost pots," lost fishing nets, and assorted metal junk from Chesapeake Bay and its tributaries during the third year of Virginia's one-of-a-kind Marine Debris Removal Program. 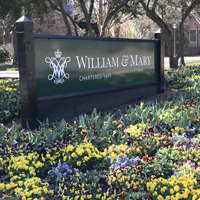 The William & Mary Board of Visitors recently appointed several faculty members to distinguished and designated professorships during the board's April meeting in Williamsburg. 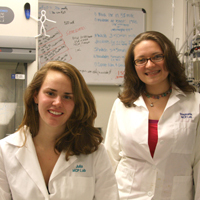 Two William & Mary undergraduates, Julia Crowley '13 and Stephanie Mutchler '12, were recently awarded summer research fellowships from the American Physiological Society (APS). W&M's artists-in-residence cap the academic year by performing Martin Feldman's six-hour, non-stop marathon, the String Quartet #2. 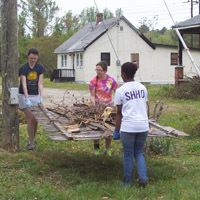 Five William & Mary students joined with community members Saturday to help clean up tornado damage in the Grove area of James City County. 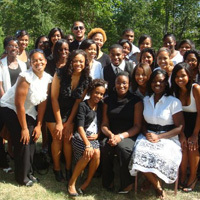 William & Mary's Lemon Project was recently lauded by the College's chapter of the NAACP. On April 24, the William & Mary NAACP presented Image Awards to individuals and groups across campus. 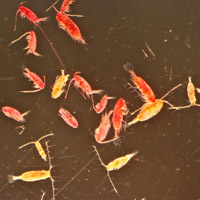 A new study by researchers at the Virginia Institute of Marine Science shows that turbulence from boat propellers can and does kill large numbers of copepods—tiny crustaceans that are an important part of marine food webs. 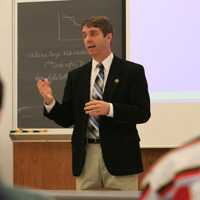 Congressman Rob Wittman (R-Va.) was on campus to meet with students and faculty and give a public lecture as the College's 2011 Hunter Andrews Fellow. For nearly 16 hours, five students taking part in a demonstration about workers’ wages camped out in President Reveley’s office. 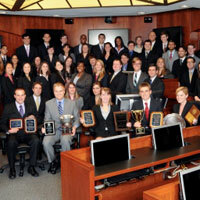 This year has been one of the best on record for the William & Mary Law School Moot Court Team. 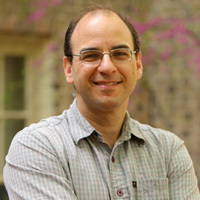 Senior Academic Technologist Mike Blum is the recipient of the 2011 Duke Award. 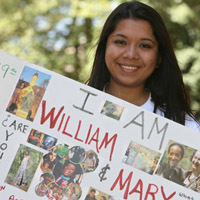 William & Mary is celebrating diversity this week with the second annual "I am W&M" campaign. 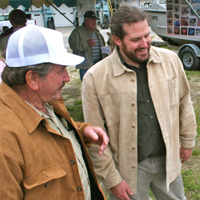 Concerts, food, and lots of information of how to improve the environment available. 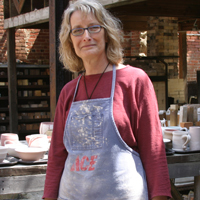 The Old Power Plant: 35 Years of Ceramics at William & Mary features work by ceramic artists who studied under Marlene Jack. 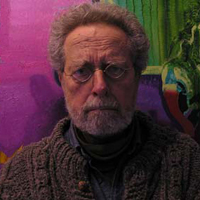 Closing exhibition Thursday, April 21 from 4:30 to 6:30 p.m. at the Andrews Gallery. 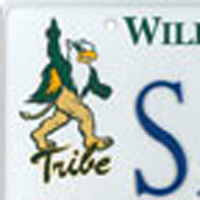 After a little over a year as the College's official mascot, the Griffin is now available on a custom license plate from the state of Virginia. 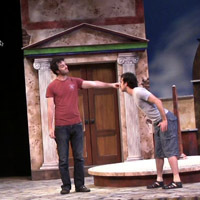 Students take up their swords to bring the 'Rover' to the William & Mary stage. Offense scores four touchdowns, defense churns out six sacks in spirited scrimmage. 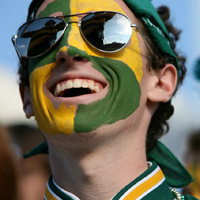 The total cost for William & Mary in-state undergraduates - including tuition, fees, room and board - will increase 5.5 percent for the 2011-12 academic year, according to the budget adopted Friday by the Board of Visitors. 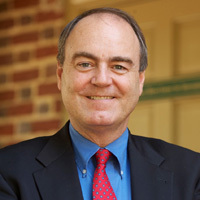 The William & Mary Board of Visitors today unanimously elected alumnus Jeffrey B. Trammell '73 as the College’s next rector. 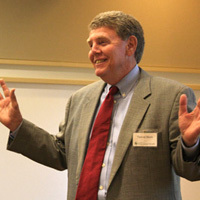 Tom Shortt, former director of the Virginia Association of Elementary School Principals, received the 2011 Jo Lynne DeMary Award at the William & Mary School of Education Thursday morning. 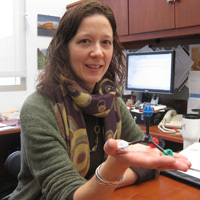 Heather Macdonald is passionate about the earth sciences and equally passionate about the teaching of earth sciences. 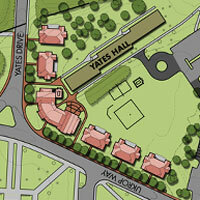 The College announced the site of its new fraternity housing project April 14. 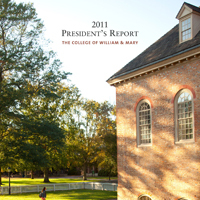 The College of William & Mary continues to run a highly efficient and effective operation despite limited resources, and it is launching additional projects at the university and organizational levels to encourage even more innovation in business processes, according to a new report. 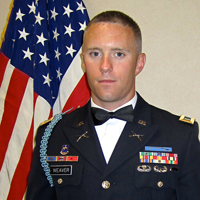 Organizers of the fund to honor Lt. Todd Weaver '08, killed in combat in Afghanistan, have set a goal to raise $50,000 by October 2011. 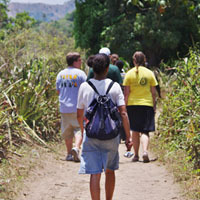 The money will be used to fund overseas travel and study for one W&M student per year. 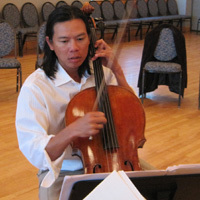 W&M's artists-in-residence won't take a break during rarely performed String Quartet #2. 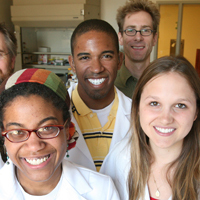 Elizabeth Harbron prepares undergraduates for a life in research. 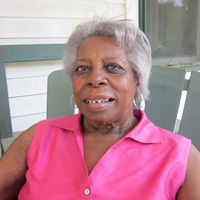 Marlene Jack: Retrospective on view at the Muscarelle Museum of Art April 16 – June 19. Next year’s entering undergraduate class is shaping up to be among the strongest and most diverse in the history of the nation's second-oldest institution of higher education. 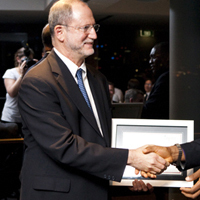 Economics Professor and Williamsburg Mayor Clyde A. Haulman is the 2011 winner of the Prentis Award. 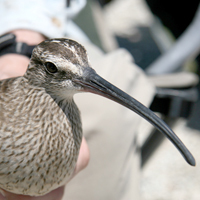 Hope is a whimbrel, a species of shorebird known for its long migrations. 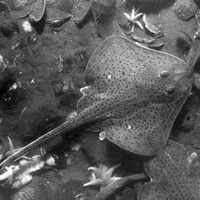 She was captured on May 19, 2009 on the Eastern Shore and fitted with a solar transmitter by scientists from the Center for Conservation Biology. 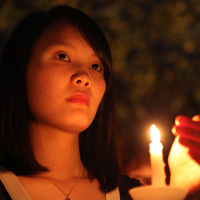 The dancing yellow glow of candlelight illuminated the faces of about 70 William & Mary and local community members who gathered in the Wren Yard Monday night to remember the victims of the earthquake that devastated Japan just one month ago. 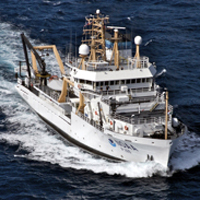 Virginia Institute of Marine Science (VIMS) Professor Roger Mann testified on April 7 before the U.S. House of Representatives Subcommittee on Fisheries, Wildlife, Oceans, and Insular Affairs in support of H.R. 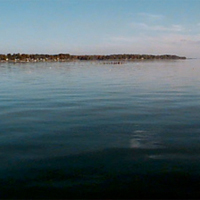 258, the "Chesapeake Bay Accountability and Recovery Act of 2011." 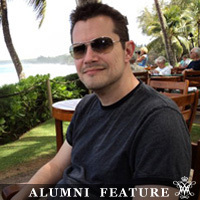 For Ashley Edward Miller '94, his dreams truly have become his reality. 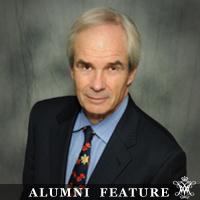 His experience is a shining example of how an education at the College of William and Mary can change a person, allowing them to point their career and life in any direction. 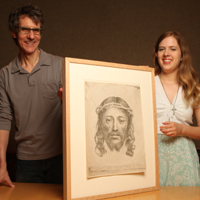 Susan Verdi Webster is among a group of 180 scholars, artists and scientists to receive the fellowship this year, and one of two in the field of fine arts research. 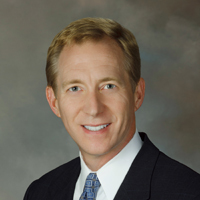 He comes to the College from the University of Washington, where he served as vice provost for global affairs and taught political science. 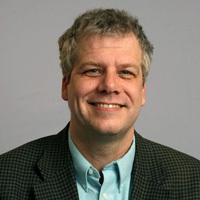 Assistant Professor of Government Maurits van der Veen discusses the foreign aid response to the Japanese earthquake. 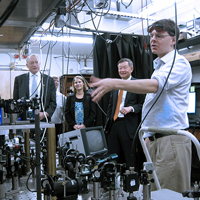 Recent one-credit courses taught by visiting professors moves the project closer to completion. 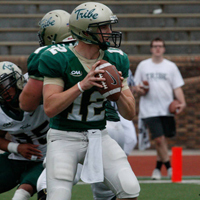 Greenbaum is one of many William & Mary alumni, students and faculty who were impacted by the magnitude-9.0 earthquake and subsequent tsunami that devastated Japan on March 11. 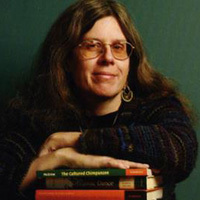 Stories and videos featuring unlikely animal friendships have been going viral on the internet lately, prompting a major network television news magazine to seek out William & Mary anthropologist Barbara King to add some context to the phenomenon. 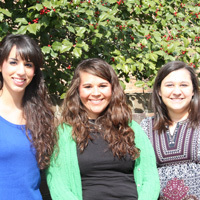 The lecture will be held at the School of Education at 4 p.m.
Three W&M law students will compete as a team in the finals of the fourth annual International Criminal Court (ICC) Trial Competition on April 10-15. 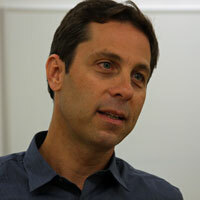 Geology Professor Chuck Bailey talks about earthquakes in Japan and Mexico April 7. 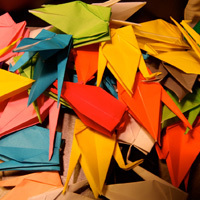 Although May is officially Asian-Pacific American Heritage Month, the celebration is starting early at William & Mary with a variety of events being offered in April. 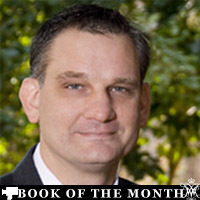 Brian Hiestand, chief investment officer for the College of William & Mary Foundation, has been named Institutional Investor’s Small Endowment Manager of the Year for 2011. 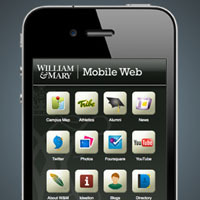 On a quiet Friday evening last fall, more than 800 people around the William and Mary campus pushed play on their mobile device at the same moment—and began what could be the next big social technology phenomenon of our time. 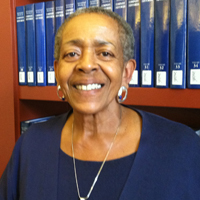 Professor Angela Banks is a nationally recognized expert on immigration reform. Admission is free to see the author of 'No. 1 Ladies' Detective Agency,' but tickets must be picked up in advance at the theatre or reserved by calling 1-800-HISTORY. The College community is invited to strike a pose in green and gold April 11 to show William & Mary's next class of students what Tribe Pride is all about. 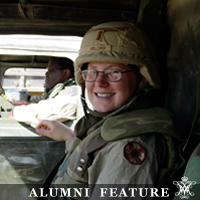 When it came time to apply to colleges, Melcher knew she wanted to be involved in the military somehow. 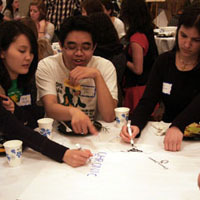 At tables throughout the Tidewater Rooms in the Sadler Center on March 24, similar connections were made as this year’s participants in the College’s Branch Out Alternative Break trips reunited to discuss what they had learned and how they can continue to make a difference. 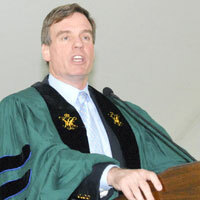 Senator Mark Warner (D-Va.) will speak at the William & Mary Law School's graduation ceremony May 15. 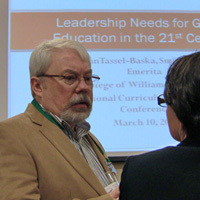 The William & Mary Center for Gifted Education held its 16th annual National Curriculum Network Conference, "21st Century Skills: Rethinking Gifted," on March 9-11 at the new School of Education. 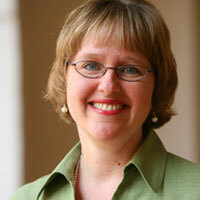 Carrie Cooper has been named the next dean of university libraries. 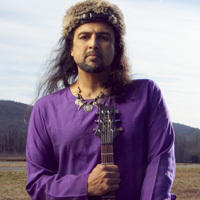 UN Goodwill Ambassador and Junoon lead singer, Salman Ahmad, educates students about the world of international service and global wellness projects. 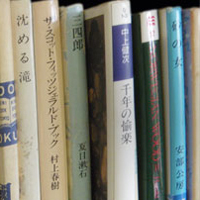 Asian and Middle Eastern Studies integrates two existing majors – East Asian Studies and Middle Eastern Studies – to engage a changing, globally connected world. 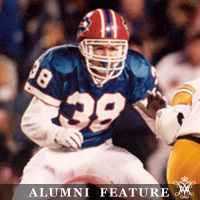 Mark Kelso '85 graduated from the College and was originally drafted by the Philadelphia Eagles to play free safety, but wound up spending his entire professional career in Buffalo. Along the way, he and his Bills achieved something that may never be matched by any team in the National Football League. At the Harvard University-sponsored World Model U.N. (WorldMUN) Conference held March 14-18 in Singapore, 11 out of 14 William & Mary delegates took home diplomacy awards -- a number only surpassed by only one other delegation. 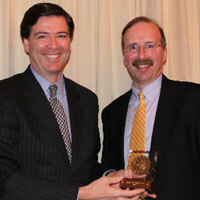 Alumnus James B. Comey, Jr. named 13th recipient of the Law School's Lowance Fellowship. 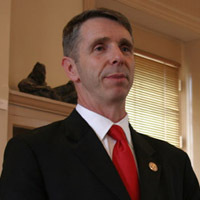 Wittman will visit campus on April 19 to meet students and faculty and to take part in a public forum. As part of her senior music project, Tidaback is spending her final semester as an undergraduate working at the school in a new partnership between it and the William & Mary music department. 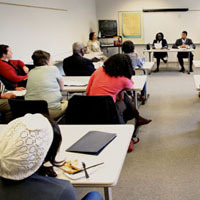 Approximately 100 people gathered at the Bruton Heights School on March 19 to share knowledge, research findings and personal experiences during the Lemon Project’s Spring Symposium. A new student organization at the College of William and Mary is seeking to help promote moderation and curb human rights violations in the world through the power of information. 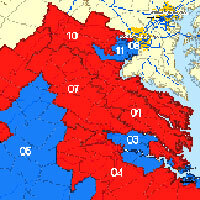 School won several first and second place finishes in the first Virginia Redistricting Competition. 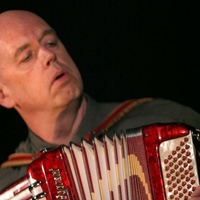 William & Mary artist-in-residence and award-winning writer, composer, performer and director Rinde Eckert will perform "An Idiot Divine" at the College on March 30. 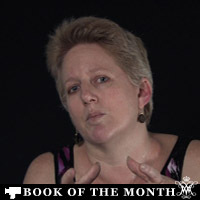 Lalley's fast-paced work life is not the only activity that requires her to push herself. 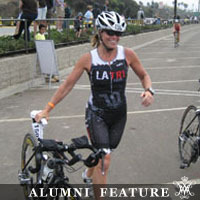 She has been an avid athlete her entire life, and recently her exercise regimen has taken a turn for the extreme. 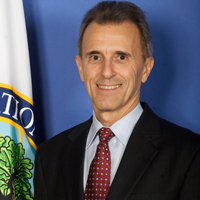 Eduardo Ochoa, assistant secretary for postsecondary education, to visit on March 29 for meeting with students and to give a speech. 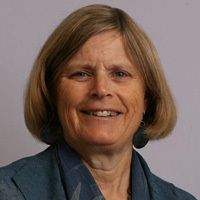 Pamela Hunt, professor of psychology and associate director of interdisciplinary neuroscience, is one of three recipients of the 2011-2012 James McKeen Cattell Fund Fellowships. 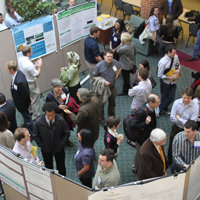 Hundreds of graduate students from 16 institutions will gather at the College of William & Mary on March 25 & 26 for the tenth annual Graduate Research Symposium. The theme of the event is "Preparing Scholars/Presenting Excellence." 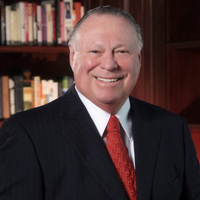 Bernard Kinsey, former Vice President of Xerox and Chief Operating Officer and Co-Chairman of Rebuild Los Angeles, speaks at 5:30 p.m. on Thursday, March 24. Free and open to the public. 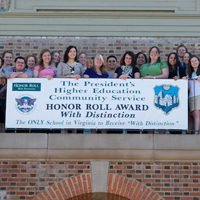 The College of William and Mary's Alpha of Virginia chapter of Phi Beta Kappa gathers annually to celebrate the academic and professional achievement of its membership. A joint study by local oyster growers and researchers at the Virginia Institute of Marine Science shows that moving farmed oysters into saltier waters just prior to harvest nearly eliminates the presence of a bacterium that can sicken humans. 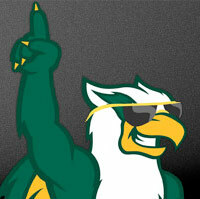 Upperclassmen need GPAs of 3.5 or higher to qualify; freshmen must have scored 3.75 or higher in their first semester. Launched today, the W&M Japan Recovery Initiative, is an easy, user friendly website to serve as an informational tool for those wishing to assist relief and recovery efforts in Japan. 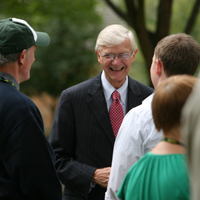 Paul Verkuil '61 is a name familiar to most members of the William and Mary family, first as a student in the early 1960s and later as the 24th president of the College, from 1985-1992. 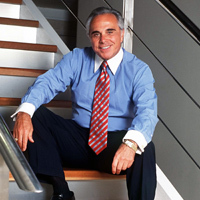 Since that time, Verkuil has served in many high-profile positions in academia and government and as the CEO of the American Automobile Association. As graduation draws closer, senior class leaders want to leave a mark on William & Mary, in the form of a generous Senior Class Gift. 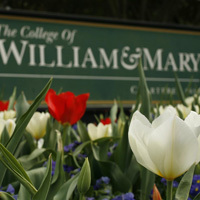 William & Mary's Law School and School of Education placed among the nation's top graduate schools in U.S. News' 2012 survey. 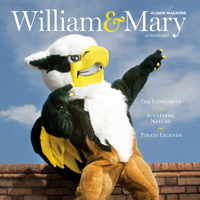 The William and Mary Alumni Magazine received the Grand Award in its category — a first for the W&M Alumni Association — in the annual Advancement Award competition sponsored by CASE District III. 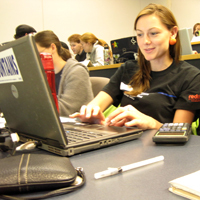 BusinessWeek ranked the Mason School of Business' undergraduate program among the top 25 programs in the nation. Known as the "U2 of the Middle East," the concert is free and open to the public. Tickets are required for admission. The Tenth Annual Graduate Research Symposium, a two-day, broadly themed academic conference designed to bring together graduate students in differing areas of study in the Arts & Sciences, will be held at the Sadler Center on the campus of the College of William & Mary on March 25-26, 2011. 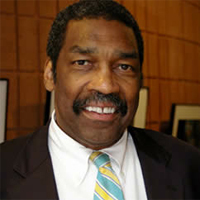 MacArthur Genius, Obama Community Solutions Council Member, and Social Entrepreneur Bill Strickland to speak at W&M School of Business on March 16. 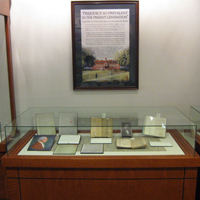 An exhibit exploring the history of slavery at William & Mary is now on display at Swem Library. The Lemon Project at the College of William and Mary will host its 2011 spring symposium on March 19 at The Bruton Heights School in Williamsburg, Va.
William & Mary will take an additional 38 students who are Virginia residents in next year's entering class as part of a long-term effort to ultimately add 150 in-state students to the College's enrollment. 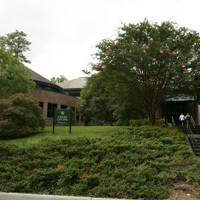 William & Mary's Earl Gregg Swem Library, as you would expect, is a popular space for students to quietly study for exam, conduct research, or work on papers. But the ideal locale to dance the night away may be the last thing on your mind. 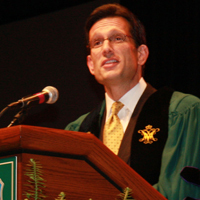 In a message to the Richard Bland community, Rector Henry C. Wolf said Dennis W. Liberson, chair of the administration committee of the Board of Visitors, will lead the search committee to find the successor to James B. McNeer. Two teams from the college are participating in the redistricting competition sponsored by the Wason Center for Public Policy at Christopher Newport University and the Public Mapping Project. The students in Drew Stelljes' EDUC 400 class are spending their break in Washington D.C., visiting schools and meeting with mathematics and science education officials to learn more about the achievement gap. Several upcoming events at William & Mary provide the campus and local communities an opportunity to celebrate Women's History Month through educational events and exhibits. 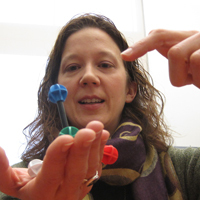 The STEM Education Alliance, which is part of William & Mary's School of Education, provides training to both teachers and professional engineers and scientists, who are paired up to later serve as co-teachers in the classroom. 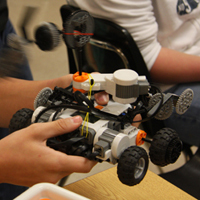 Spring projects include athletics, electronics, library science, transportation, and marine science. 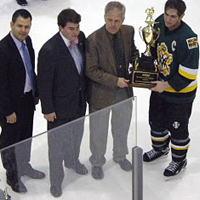 Tribe wins the Blue Ridge Hockey Conference crown. 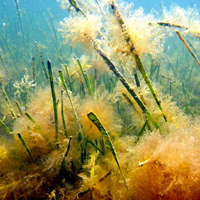 An international team of researchers including professor Emmett Duffy of the Virginia Institute of Marine Science, College of William and Mary, has published a comprehensive new analysis showing that loss of plant biodiversity disrupts the fundamental services that ecosystems provide to humanity. The bald eagle breeding population along the James River has set a new record, with 165 breeding pairs of the birds documented in early March. 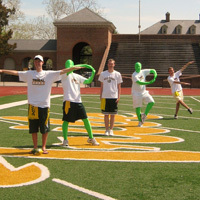 Two W&M teams participate in state redistricting competition. In his new book "Collision Course: Federal Education Policy Meets State and Local Realities," Paul Manna details the successes and failures of No Child Left Behind. 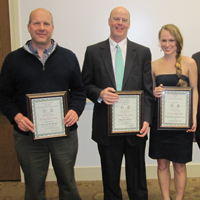 The junior forward was one of five Tribe players honored at the league's pre-tournament basketball banquet. 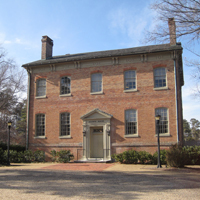 Professor of English Terry Meyers believes a building now used to house a portion of the College’s ROTC Program may be home to the 18th-Century Bray School and would be the oldest existing building in the United States for the education of enslaved and free blacks. 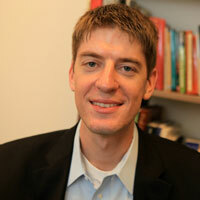 Tune in Friday, March 4, at 9 p.m. to hear more about his research. 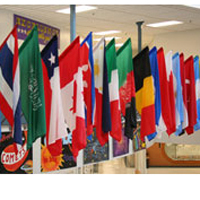 For more than 35 years, the State Department has teamed with the College Board to facilitate the Overseas Schools Project. 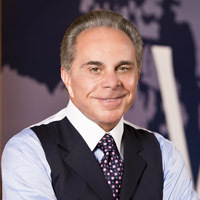 Joseph J. Plumeri, a member of William & Mary's undergraduate Class of 1966 and the chairman and chief executive officer of one of the world's largest and most successful insurance brokers, will deliver the 2011 commencement remarks at the College. 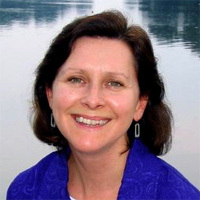 Professor Elizabeth Canuel of the Virginia Institute of Marine Science, College of William and Mary, is among 20 environmental scientists from the U.S., Canada, and Mexico who have been awarded a prestigious Aldo Leopold Leadership Fellowship for 2011. A new online W&M Events system launching March 1 will help both the campus community and the public keep abreast of all the exciting opportunities the university has to offer year-round. 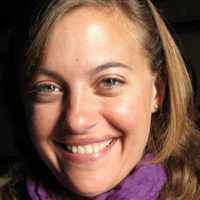 Hadar Netz, an Israeli linguist is in Williamsburg on a Fulbright grant, conducting research into the conversational patterns used in gifted and talented classrooms. 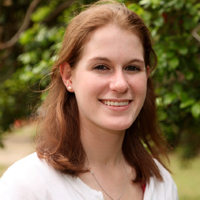 Rachel Taylor '11 has developed a suite of software to monitor the performance of SciClone. 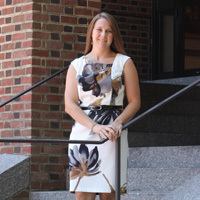 Christie S. Warren has returned to William & Mary Law School after spending a year assisting the United Nations in mediating peace processes in Darfur, Kyrgyzstan, and Somalia, among other places. 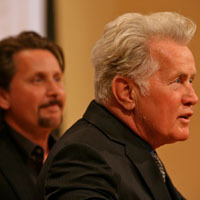 Emilio Estevez and Martin Sheen helped kick off the Workshop on Pilgrimage Studies, co-hosted by the William & Mary and Georgetown's department of Spanish and Portuguese. 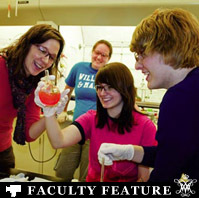 For some William & Mary professors, research consists of sitting at a desk poring over academic papers or sitting in a lab conducting science experiments. 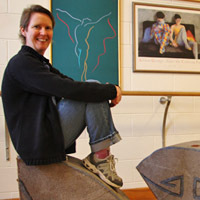 But as Professor of Dance Joan Gavaler shows through her latest piece, entitled "Symbol," research at the College doesn’t always come with hypotheses and conclusions. 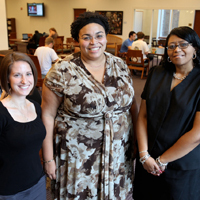 Law School's Veterans Benefits Clinic hosts outreach events in Hampton and Richmond. 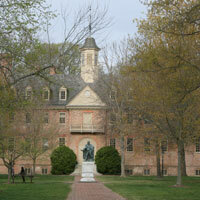 A national ranking has once again listed William & Mary as a best value among public universities and colleges. 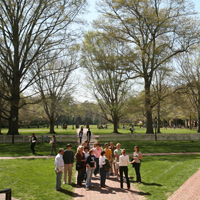 In its 2011 annual college rankings of best bargains, The Princeton Review places William & Mary seventh among its top public universities. 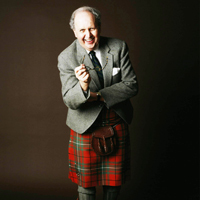 Alexander McCall Smith headlines five outstanding, multitalented writers and poets. The Central Intelligence Agency joined forces with William & Mary’s Project on International Peace and Security (PIPS) to conduct the first-ever Crisis Simulation Competition, described as " a Model U.N. for the intelligence community." 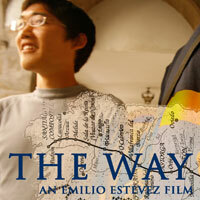 W&M's Artists-in-Residence will perform at Ewell Recital Hall, 8 p.m.
Emilio Estevez and Martin Sheen will screen their new movie about the historic pilgrimage, The Camino, at a W&M workshop developing a consortium on pilgrimage studies. 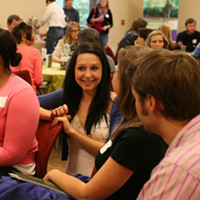 Students and faculty members from across the state will meet with Virginia Indian tribal representatives at William & Mary's School of Education Feb. 18-20 for the Virginia Indian Nations Summit on Higher Education. 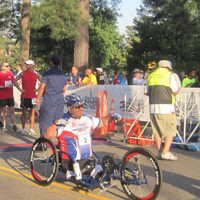 Campus to serve as starting point, finish line for 8k and half-marathon to benefit "Wounded Warriors" and "An Achievable Dream." 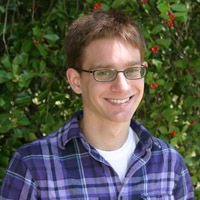 William & Mary's first freshman phage lab has demonstrated what possibly is the straightest learning curve known to science: zero to co-authorship in a peer-reviewed journal in under three years. From gospel choirs to quilts, the William & Mary community is celebrating Black History Month with a variety of on-campus events. 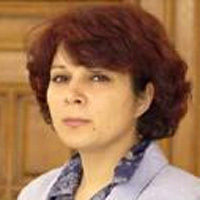 Former Iraqi Minister of Environment Mishkat Al Moumin is W&M's Kraemer Middle East Distinguished Scholar-in-Residence this spring. When it comes to grading presidents, do they get a pass or fail? 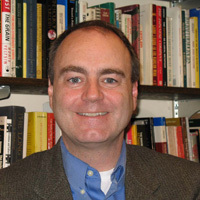 Professor of Government and Public Policy John Gilmour gives his expertise with HearSay's Cathy Lewis on Thursday, Feb. 17. 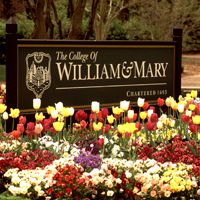 William & Mary is in the middle of a project to establish a clear visual identity, consistent with its strategic plan, for the university. 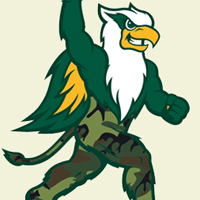 The new "Dress the Griffin" mobile application, developed by the Office of Creative Services, allows users to dress an image of William & Mary's mascot in a variety of outfits, from a football uniform to a top hat and tails. 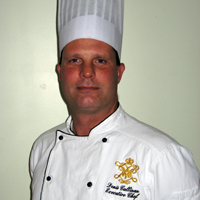 Denis Callinan recently graduated from the Culinary Institute of America’s ProChef II Certification program. 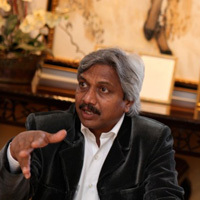 Extraordinary cinema features movies from France, Japan, and the largest-budget and grossing film in Indian history, and includes discussions with the filmmakers. 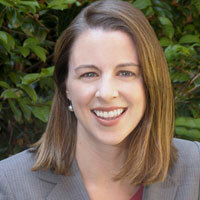 Law Professor Allison Orr Larson discusses the constitutional issues at stake in the health care debate. Nationally recognized scholars and activists discuss topics such as human rights, critical pedagogies, native issues and race and immigration Feb. 24-26 on the College campus. Free and open to the public. 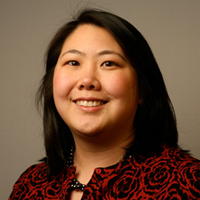 Jennifer Leung, assistant director of student activities, has been selected as 2011 Annual Meeting Chair for the Association of Fraternity/Sorority Advisors. 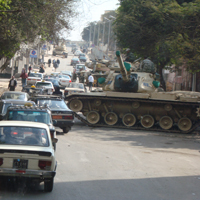 John Pence was one of hundreds of Americans who were evacuated after protests erupted across Egypt. The College of William and Mary has once again been named as one of the Peace Corps' top-producing schools, according to a ranking released by the organization Feb. 2. 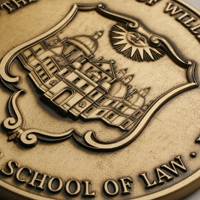 The W&M Law School Scholarship Repository announces that the 5,000th and 5,001st items have been added to the Repository. This weekend, Hip Hop/Soul group The Roots took to the stage at William & Mary Hall to the delight of students assembled for the Charter Day concert. Six graduate students from the College of William & Mary presented cutting-edge research at the Graduate Student Research Forum on Feb. 3. 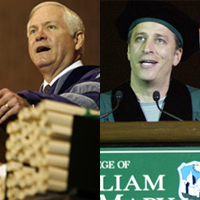 The William and Mary Alumni Association honored five of its most distinguished graduates on Saturday morning, Feb. 5, 2011. More than 150 faculty and community partners from Virginia, North Carolina, Maryland and New Jersey will converge upon William & Mary Feb. 11-12 for the inaugural Active Citizens Conference, the first student conference of its kind to ever be held at the College. 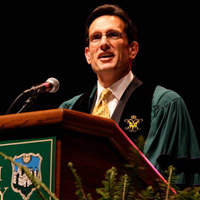 Eric Cantor, the first William & Mary alumnus to serve as U.S. House of Representatives Majority Leader, spoke to a crowd of more than 2,000 students, faculty, staff, alumni and community members who gathered for the annual ceremony in William & Mary Hall Friday afternoon. 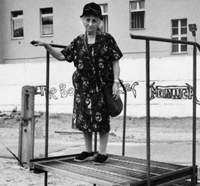 The Muscarelle Museum of Art presents "After the Fall of the Berlin Wall: Report from No Man’s Land," an exhibition featuring 46 photographs by award winning German photographer, Bettina Flitner, on display February 5 – April 3. 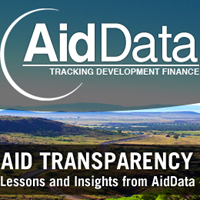 AidData goes mobile and launches app. 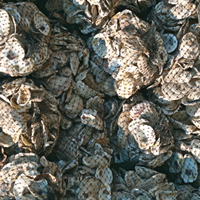 A new study by an international team including professor Mark Luckenbach of the Virginia Institute of Marine Science, College of William and Mary, shows that the decline of oyster reefs is not just a local problem. 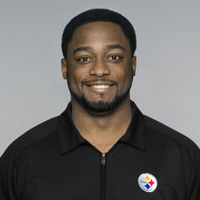 W&M's Steeler Nation confident Pittsburgh coach and alum Mike Tomlin '95 will guide his team to a seventh Super Bowl crown. 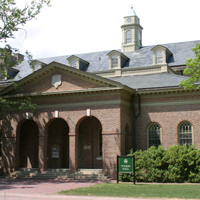 While employees continue to have concerns about their pay, more than 90 percent of respondents to a survey at William & Mary say their department at the College is a good place to work, according to the results of a report released Thursday at the Board of Visitors meetings. 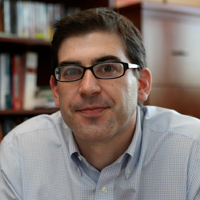 Assistant Professor of Economics Olivier Coibion reports why interest rates will change in a much more gradual manner than one might expect. Gene Tracy, the Chancellor Professor of Physics, will serve as the interim Dean of Arts & Sciences at the College of William & Mary, effective July 1, 2011. For the sixth year in a row, a record number of prospective undergraduate students have applied for admission to the College of William & Mary. 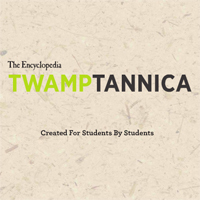 In January, the booklet, known as the "TWAMPtannica," was finally put online for use by the general public. 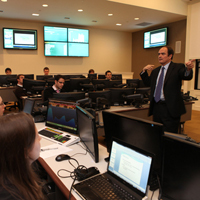 According to the Financial Times MBA 2011 ranking, career progression, faculty research, and diversity are key indicators for ranking W&M 86th among all business schools in the world. The “great thing” in question was the annual “Road to Richmond” trip, wherein William & Mary students of all social classes and backgrounds spend the morning traveling to the state capital to meet with legislators on behalf of the College. Standing on a balance board created by Nintendo for its Wii Fit series, Dr. Ergin -- a retired octogenarian internist who good-naturedly prefers to call himself "mid-mature" -- is participating in a variety of exercises displayed on a nearby television. All the while he is under the watchful eye of Associate Professor of Kinesiology and Health Sciences Ray McCoy and student assistant Laura Halley '11. 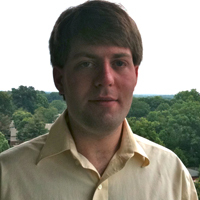 Computer Science and Mathematics double major is admired for his tenacity in researching difficult problems. 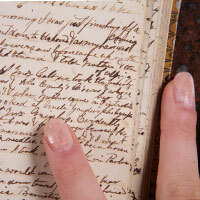 A collection of diaries on display in Swem Library through March. 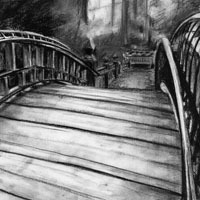 Moey Fox ’13 was selected as this year’s winner of the annual art contest for her charcoal drawing of the Crim Dell. 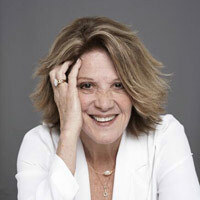 W&M alumna and renowned actress Linda Lavin '59 was inducted into the Theater Hall of Fame during a ceremony in New York City's Gershwin Theatre on Jan. 24. 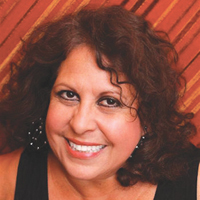 William & Mary voice teacher and jazz vocalist Stephanie Nakasian will present a tribute to jazz great Billie Holiday in the next event of the Department of Music's Ewell Concert Series. 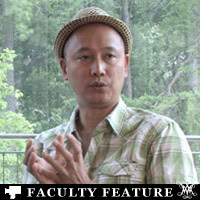 Sociology professor uses technology to teach "the large class" in the William & Mary way. As anyone who has ever participated in a remodeling project can attest, replacing and updating utilities is never an easy prospect. 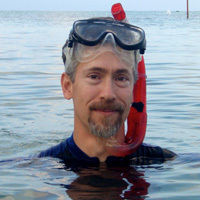 Professor Robert J. Diaz of the Virginia Institute of Marine Science, College of William and Mary, has received one of four Outstanding Scientist awards for Virginia for 2010. 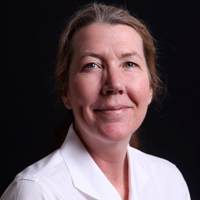 Professors Emmett Duffy and Rom Lipcius of the Virginia Institute of Marine Science were invited participants in last week’s National Conference on Science, Policy, and the Environment in Washington, D.C.
Jes Therkelsen has a B.A. 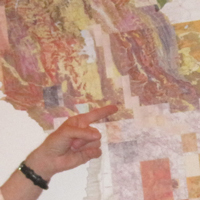 in geology and an M.F.A. 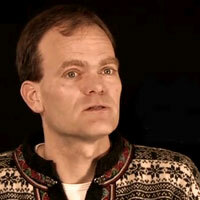 in documentary filmmaking, a combination that makes him ideal for an unusual position. Hundreds of people gathered at William & Mary Thursday night to remember and honor Martin Luther King, Jr.
Pittsburgh Steelers coach Mike Tomlin '95 has become the first coach in NFL history to take two teams to the Super Bowl before age 40. 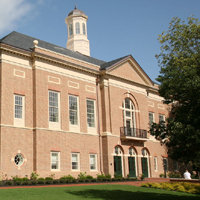 The Mason School of Business at the College of William & Mary's undergraduate and graduate accounting programs are the best in their group for the second year in a row according to the Public Accounting Report's 29th Annual Survey of Accounting Professors. 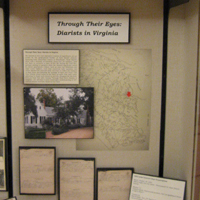 Until the time machine is perfected, a NIAHD experience is the best we can do for those who take a serious approach to understanding life in Colonial Virginia. 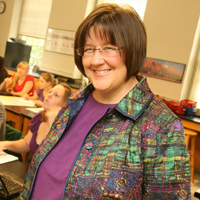 Elizabeth Harbron, associate professor of chemistry, is the 2011 winner of William & Mary's Thomas Jefferson Teaching Award, an honor bestowed each Charter Day to a younger faculty member at the College. 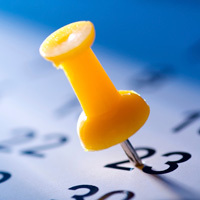 Four concerts to be performed in 2011-2012. Ticket sales for the series begin Jan. 21. 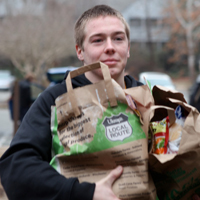 Men's gymnastics team's collection of non-perishables for a local food bank totals 3,000 pounds, the third consecutive increase in as many years. 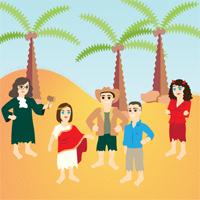 The Sinfonicron Light Opera Company, a 46-year-old student organization that spends two weeks of winter break each year putting together a full-scale show, will open its production of "Patience" Jan. 20 in Phi Beta Kappa Hall. 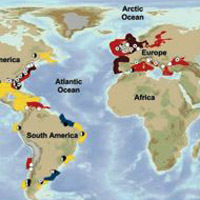 New research by the World Resources Institute (WRI) and the Virginia Institute of Marine Science, College of William and Mary, identifies more than 530 low-oxygen "dead zones" and an additional 228 sites worldwide exhibiting signs of marine "eutrophication." 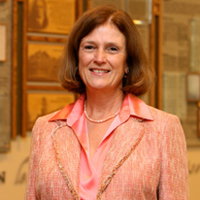 Carnegie Hero Commission cites W&M alum and former swim coach for helping rescue drowning vacationers; American Red Cross includes wife and alum Susan Havens as Certificate of Merit honoree for same rescue. 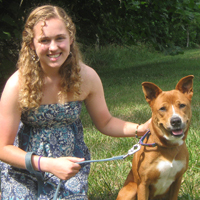 Morris, a New Kent, Va., native majoring in psychology and minoring in community studies, will receive this year's Monroe Prize in Civic Leadership at the College's annual Charter Day ceremony, to be held at 4 p.m. Feb. 4 in William & Mary Hall. 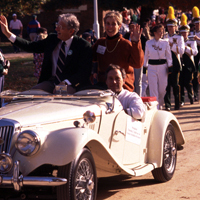 As a country mourned the death Tuesday of R. Sargent Shriver, members of the William & Mary community say much can be learned from the life of someone who impacted thousands of people through his devotion to public service. A paper published in the prestigious online journal Nature Communications reveals the molecular biology behind a certain worm’s ability to break—or at least ignore—the laws of Mendelian genetics. 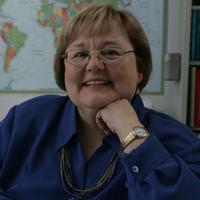 She is only the third law professor to receive the award in the past 30 years and the sixth overall since its establishment in 1963. 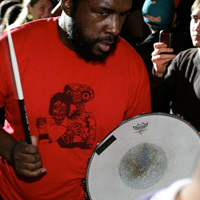 Critically acclaimed hip-hop group The Roots will play William & Mary's Charter Day concert Feb. 5, 2011, in William & Mary Hall, the College announced Saturday evening. The life and legacy of Martin Luther King, Jr. will be celebrated next week by William & Mary's students, faculty and staff through both learning and service programs. Terry Meyers finds what may be the oldest existing school for blacks, and W&M's role in why it's in Williamsburg. 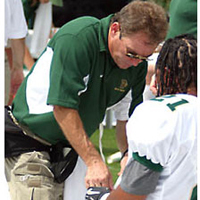 W&M's associate athletic director, a national leader in the field, spent 25 years as College's director of sports medicine. 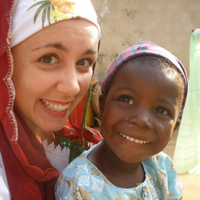 That part of her education is being facilitated by two local residents who signed up to participate in the William & Mary Global Friends Program, a Reves Center for International Studies initiative that aims to connect international students with community members to encourage cross-cultural understanding. 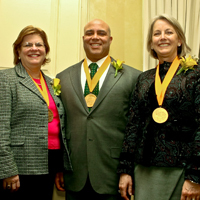 On Saturday morning, Feb. 5, 2011 the William and Mary Alumni Association will honor Sue Hanna Gerdelman '76, Marilyn Ward Midyette '75, J. Robert "Bob" Mooney '66, Michael K. Powell '85 and Rene Henry '54 with the Alumni Medallion during a ceremony on campus. 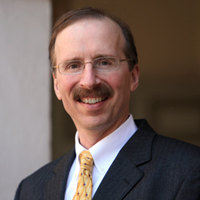 Carl Strikwerda, William & Mary’s Dean of the Faculty of Arts & Sciences, has been named the 14th president of Elizabethtown College in Pennsylvania. 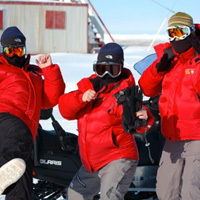 They share a first name and a passion for oceanography, but beginning in late January, professors Deborah Bronk and Deborah Steinberg of the Virginia Institute of Marine Science will be polar opposites—literally. 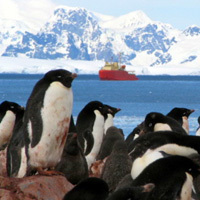 A team of researchers led by professor Deborah Steinberg of the Virginia Institute of Marine Science has returned to Antarctica for their annual 6-week field season aboard the research vessel Laurence M. Gould. 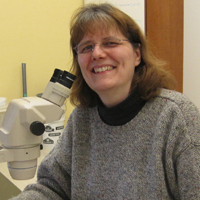 Professor Deborah Bronk of the Virginia Institute of Marine Science is now leading a VIMS study of the Arctic coastal ecosystem, and how climate change might affect the supply of nutrients that supports the food web on which native peoples depend. 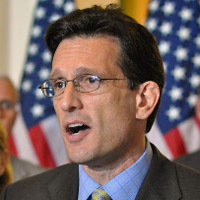 Congressman Eric Cantor, J.D. 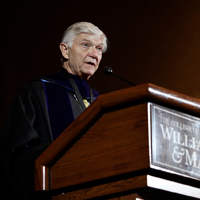 '88, the first U.S. House of Representatives Majority Leader from William & Mary, will speak at the College's 2011 Charter Day Ceremony. 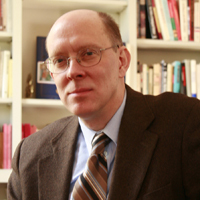 In his new book "Moral Status and Human Life," law professor James Dwyer argues that children should enjoy a higher moral status than adults. 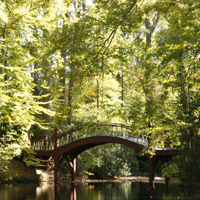 The College of William and Mary is one of the best values among American public colleges and universities, according to a report released by Kiplinger's Personal Finance today. William & Mary has seen significant enrollment increases in the study of foreign languages, specifically Arabic and Chinese.